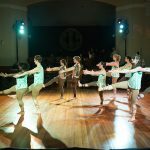 Tides Restaurant will donate 10% of sales on this night to Forty Steps Dance. 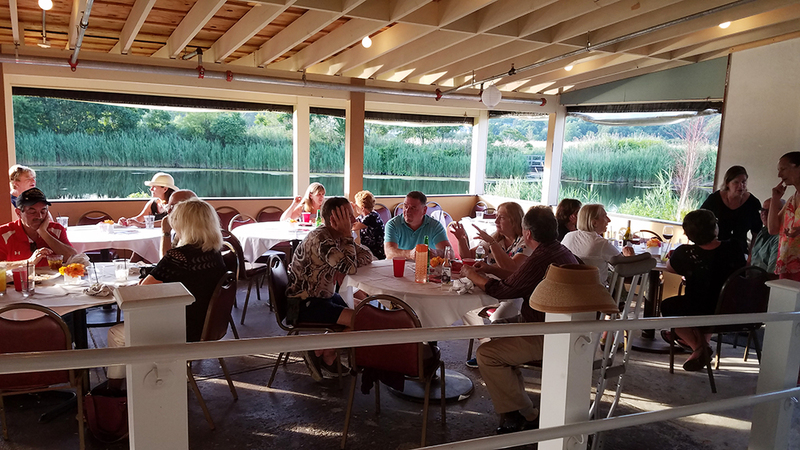 Dine-in, take out and drinks included. 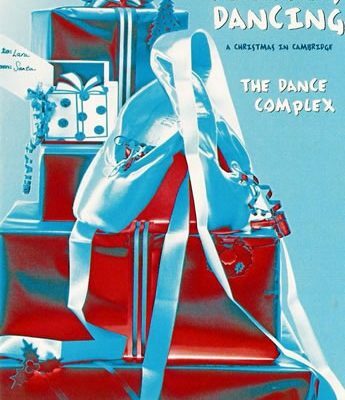 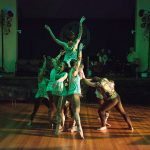 Make it a night out with friends or family, or grab something to go, and support your local dance company! 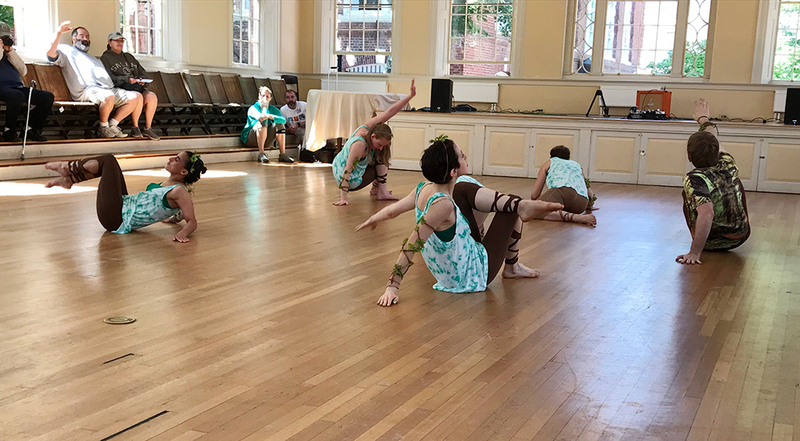 Performance supported in part by a grant from the Nahant Cultural Council, a local agency supported by the Mass Cultural Council, and in part by the Nahant Preservation Trust. 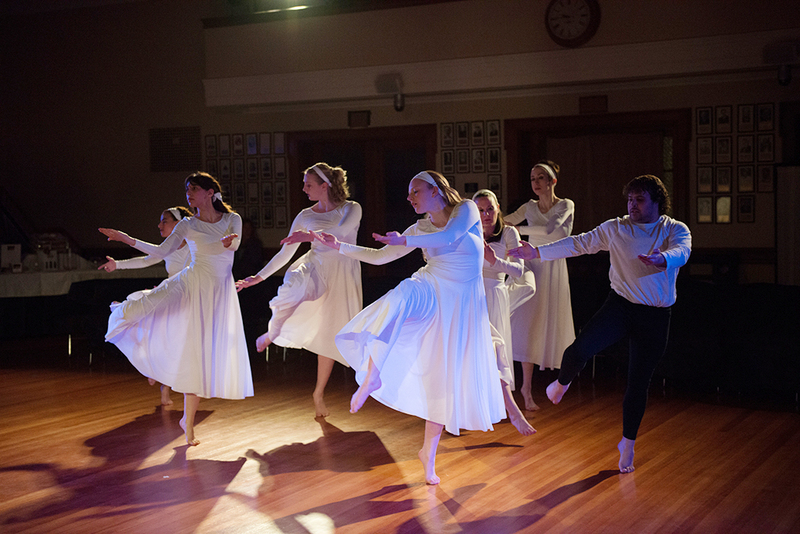 Support Forty Steps Dance by placing an ad in our program! 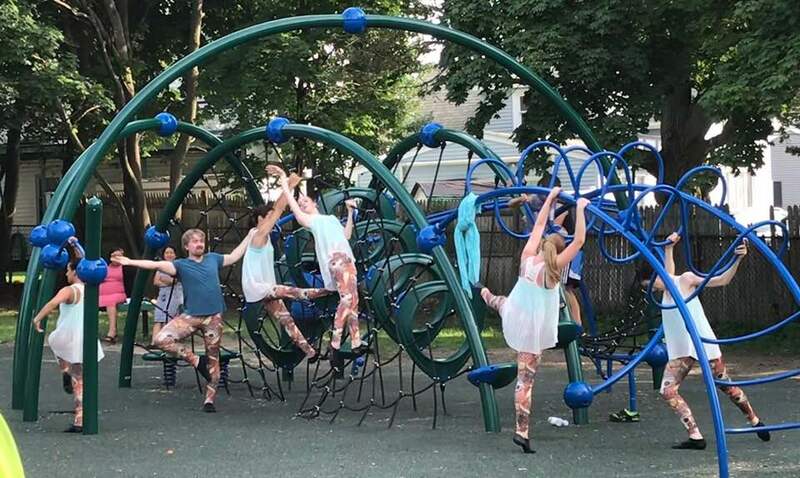 Performances by: Boston Community Dance Project, Sydni Jiang, Project 31, North Shore Civic Ballet, Sasso & Company, Cambridge Dance Company, Nozama Dance Collective, Rainbow Tribe, Disco Brats, Forty Steps Dance, Kinetic Synergy Dance Company, NewStage Dance Company, Brookline Academy of Dance, and Legacy Dance Company. 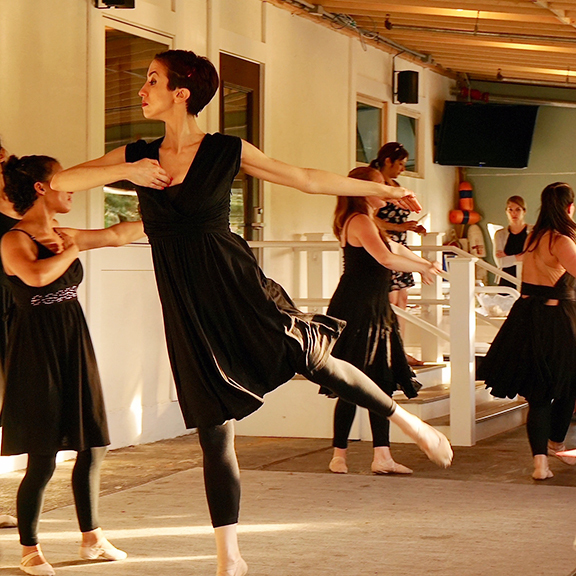 Please bring a new toy for our children’s toy drive and receive $1 off of your admission ticket! 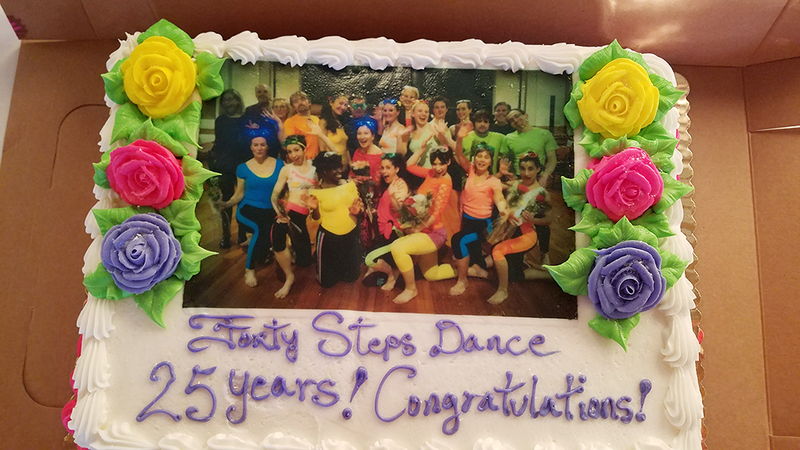 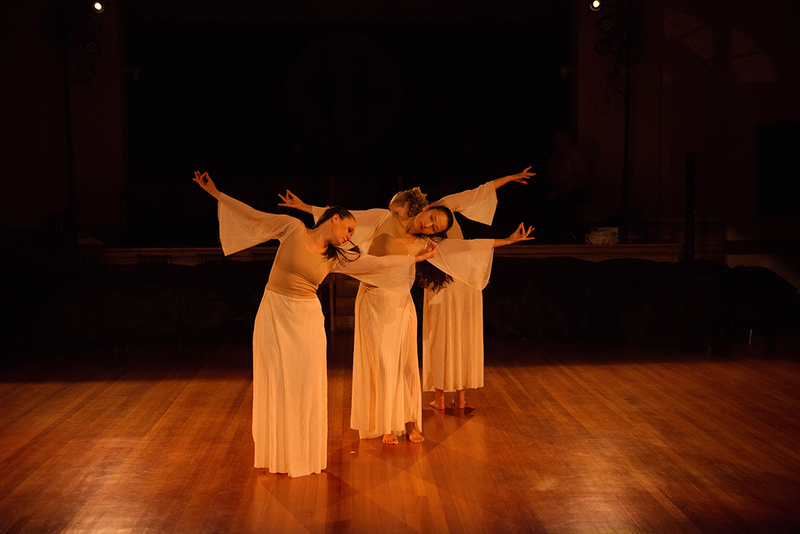 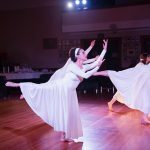 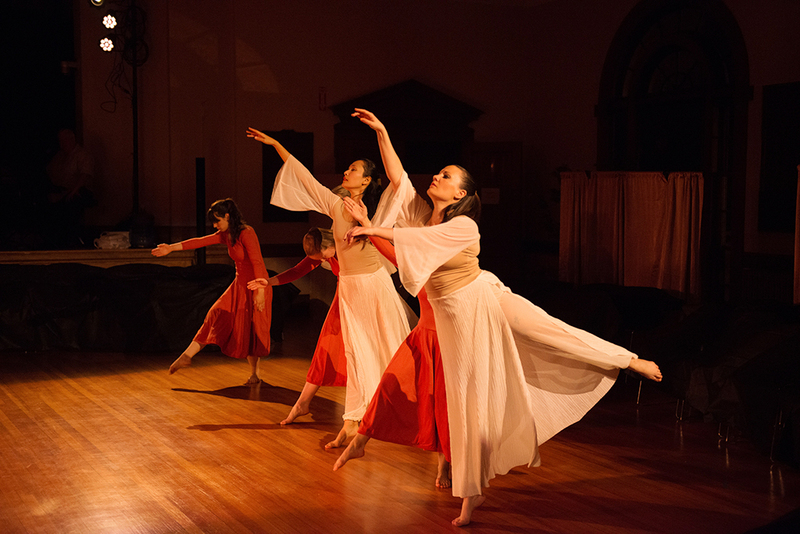 Forty Steps Dance finished their 25th Anniversary season with several summer performances. 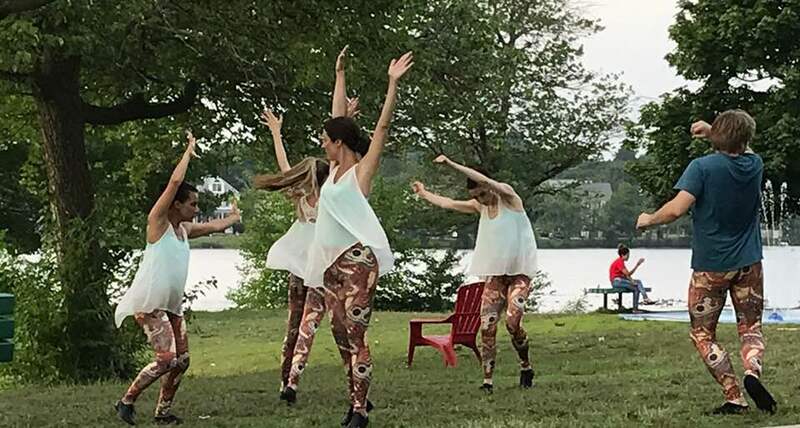 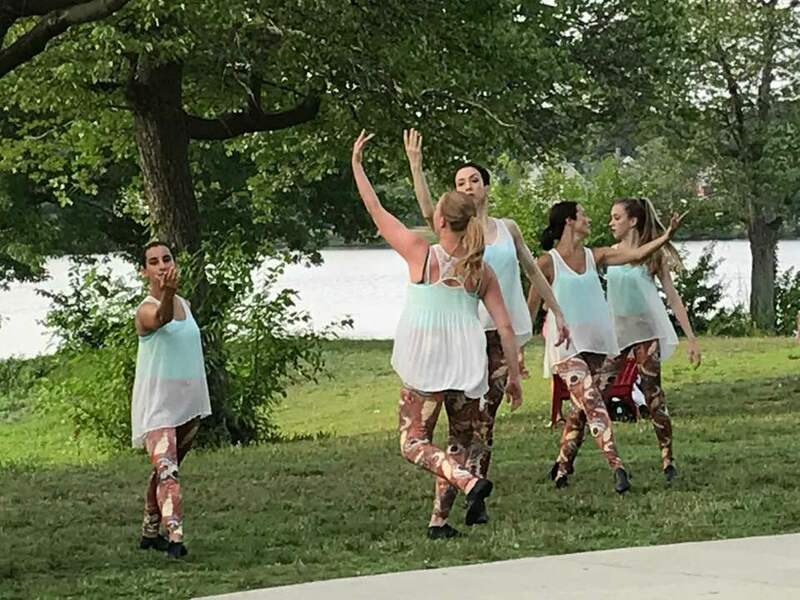 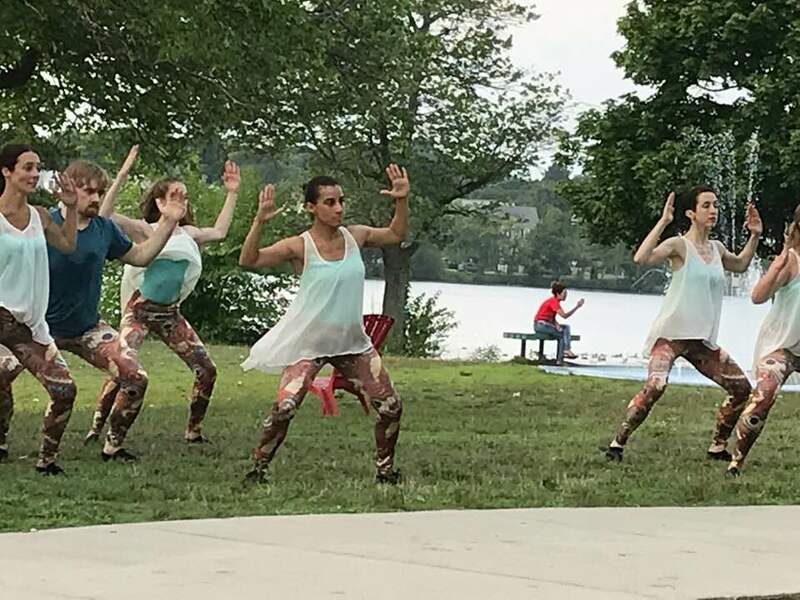 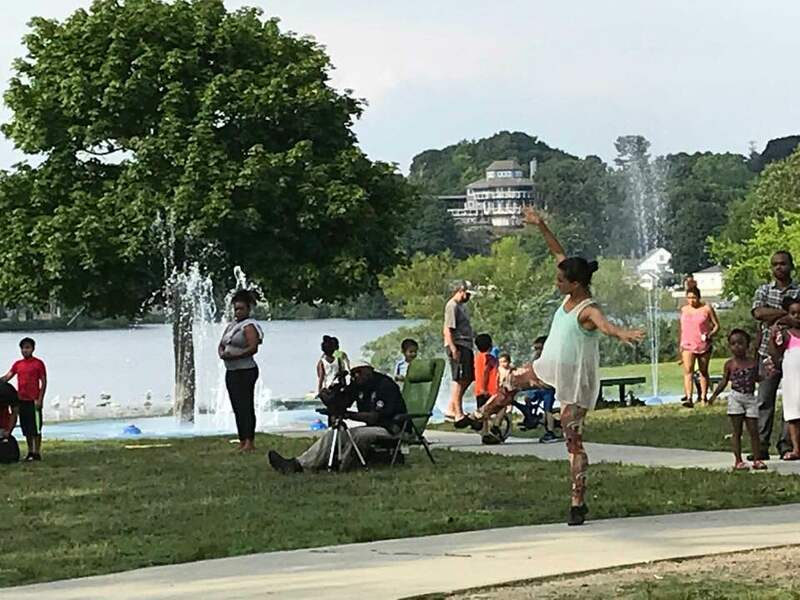 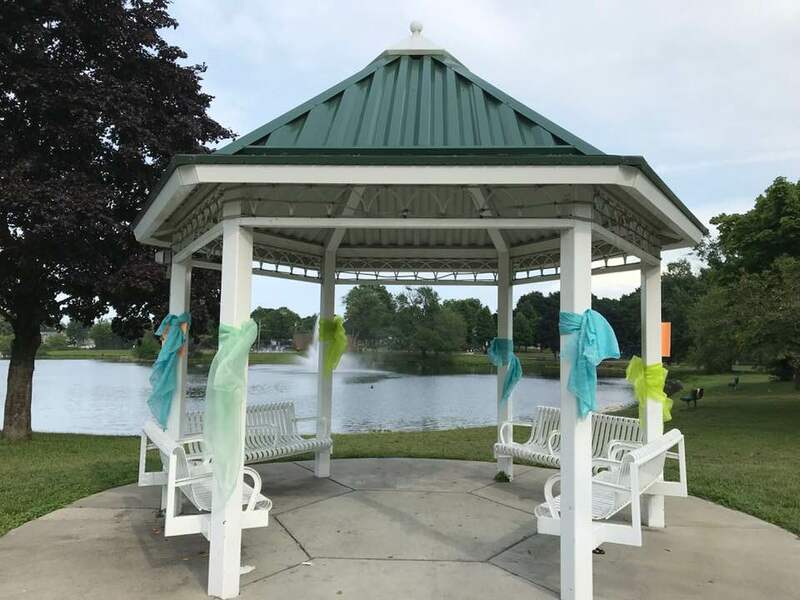 Photos here are from the Salem Arts Festival, June 2018 (photos: Lynn Turner), Fundraiser and Golf Outing at Nahant Golf Club in June 2018 (photos: Erin Pelikhov), and a community performance at Flax Pond, Lynn, MA, July 2018 (photos: Lynn Turner). 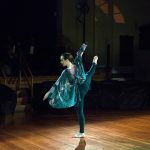 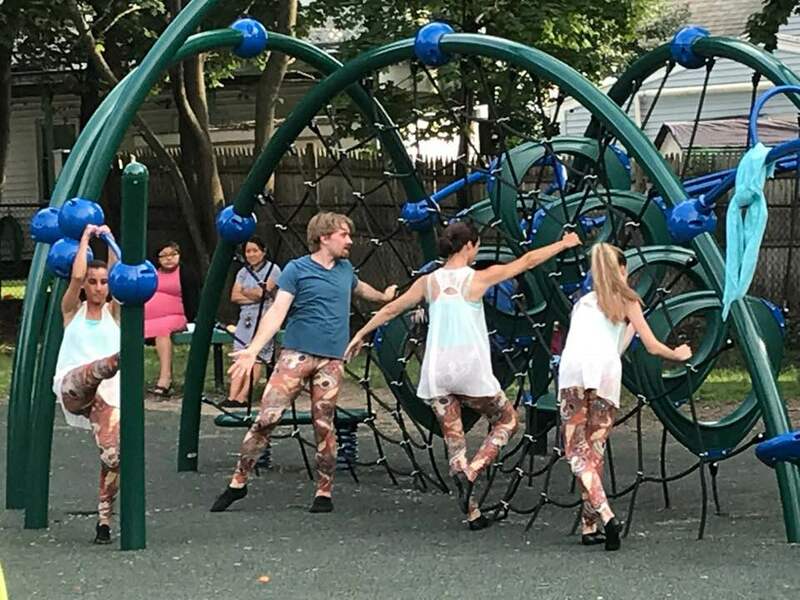 This performance will include free form dance through the park using its many natural landscape features. 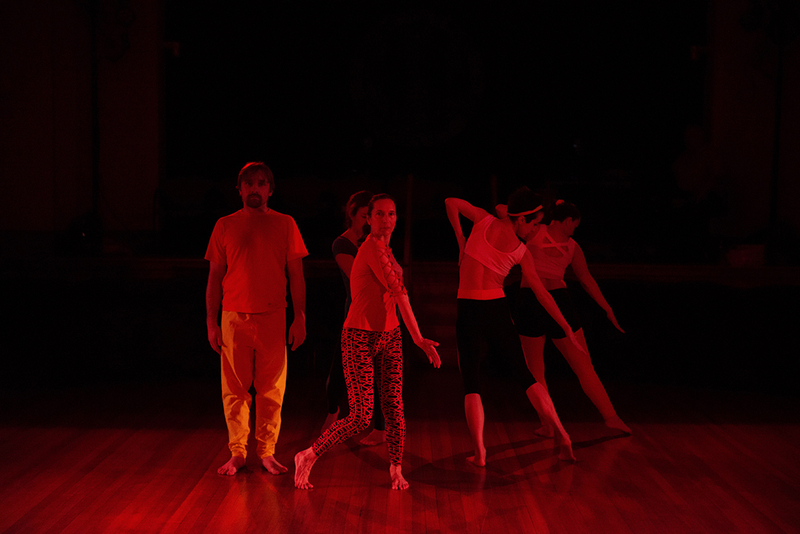 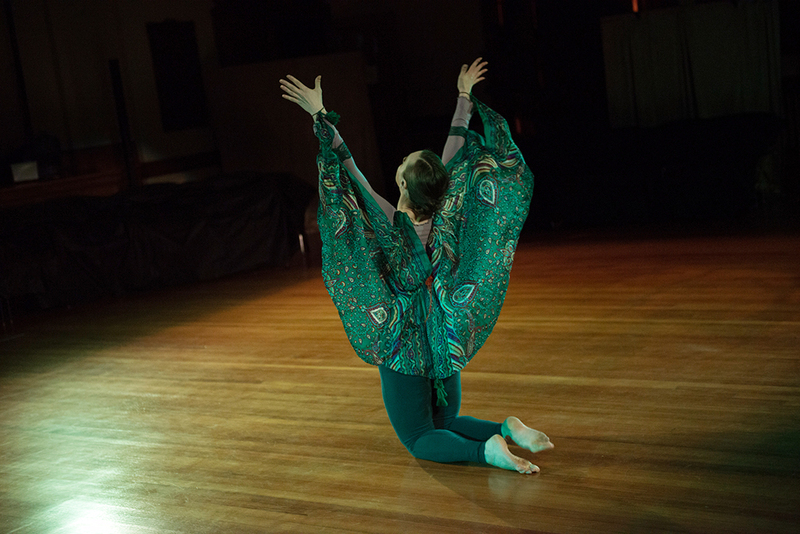 There will be site-specific choreography as well as excerpts from repertory and a preview of new works to come. 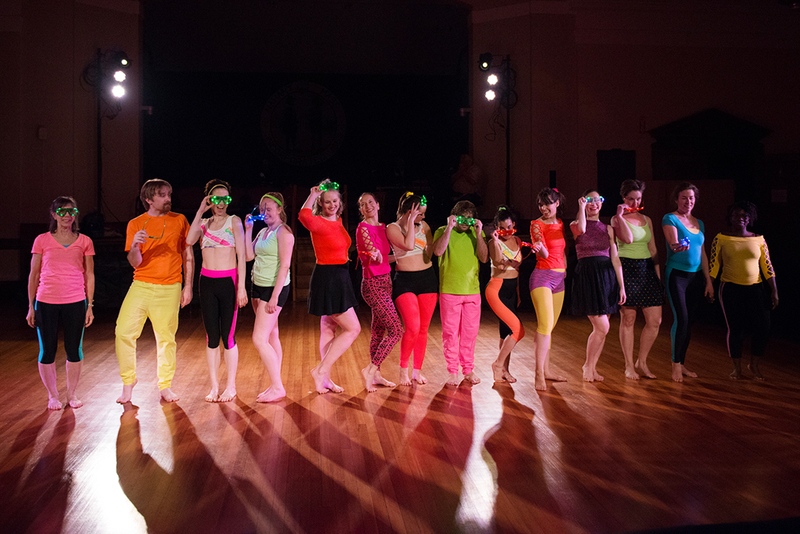 There is also an interactive segment planned where dancers will invite the audience to join in! 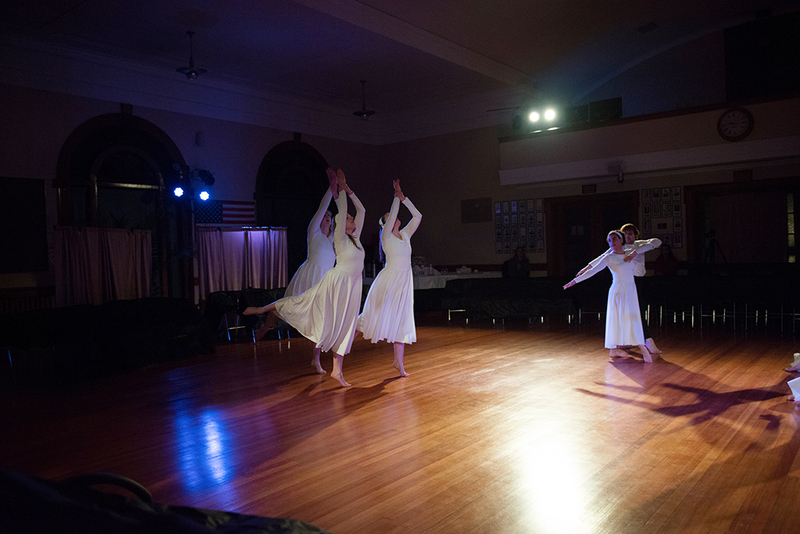 and in part by the Nahant Preservation Trust. 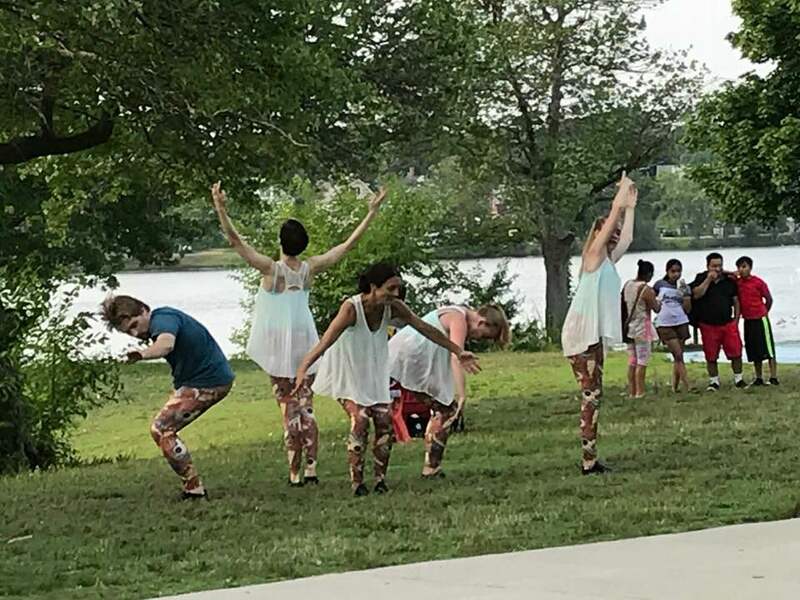 Bring a chair and see new works in this free performance! 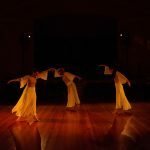 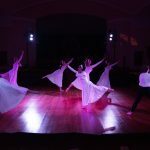 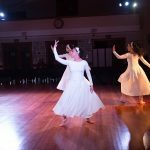 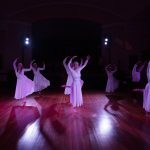 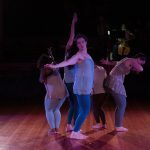 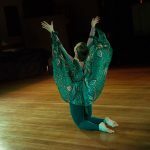 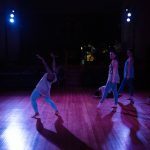 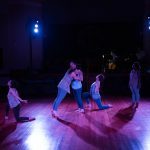 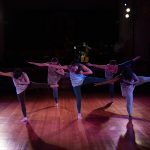 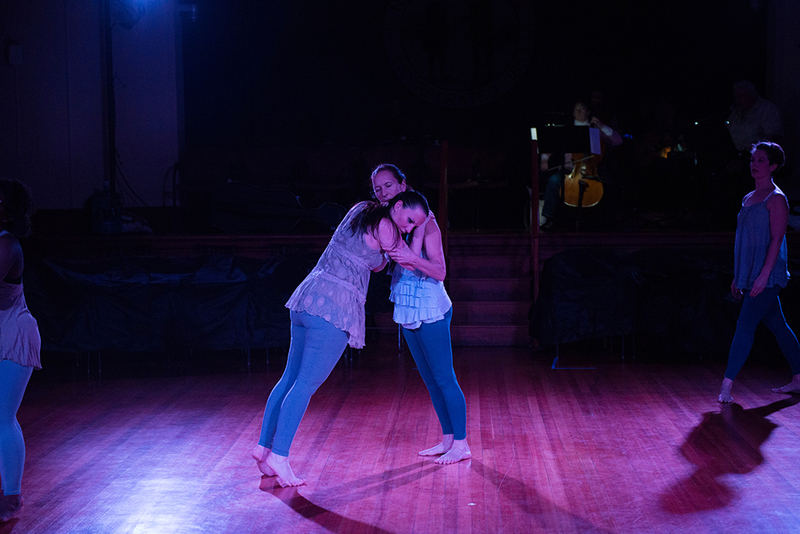 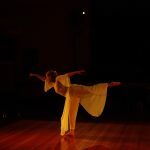 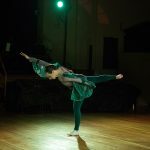 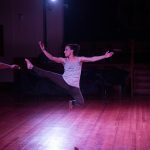 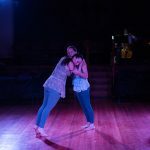 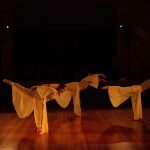 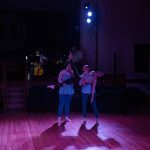 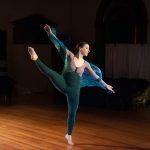 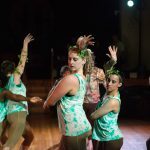 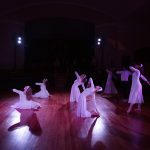 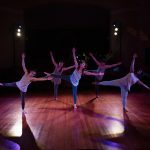 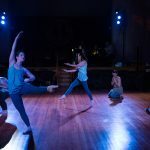 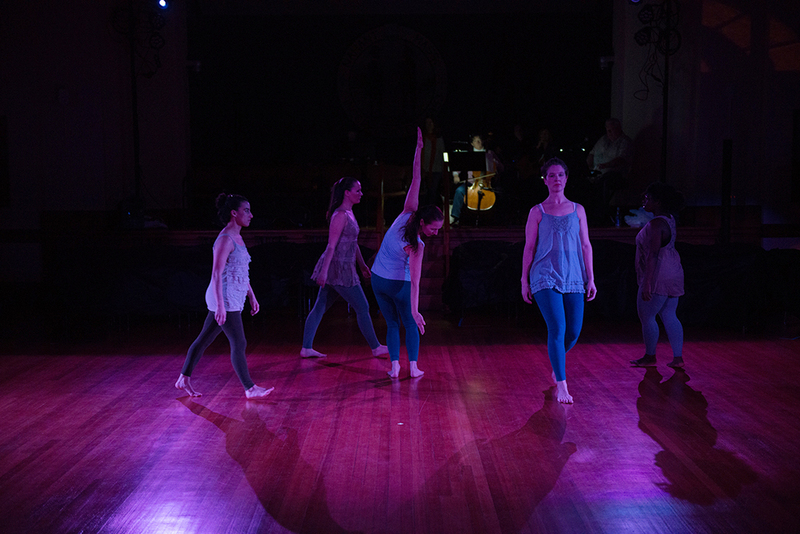 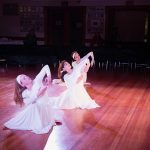 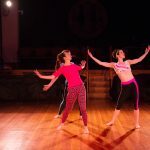 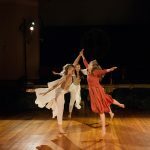 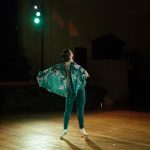 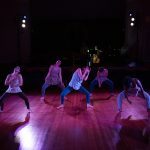 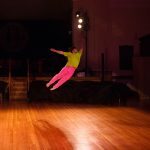 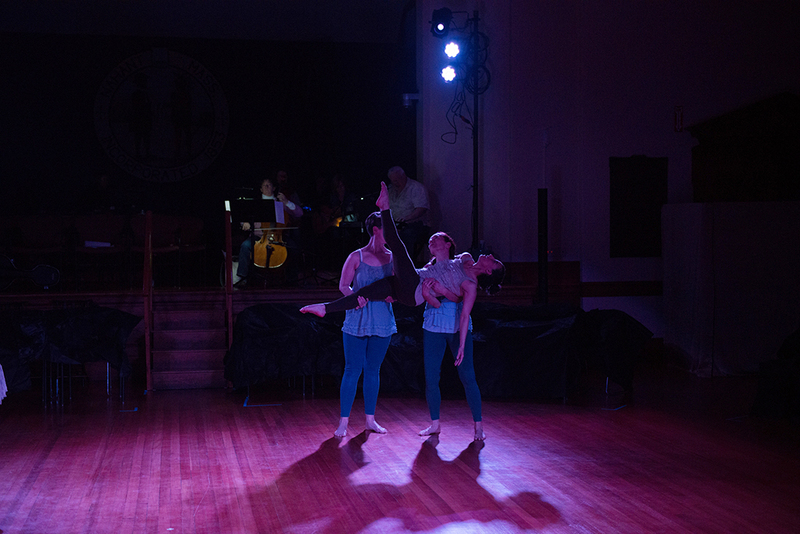 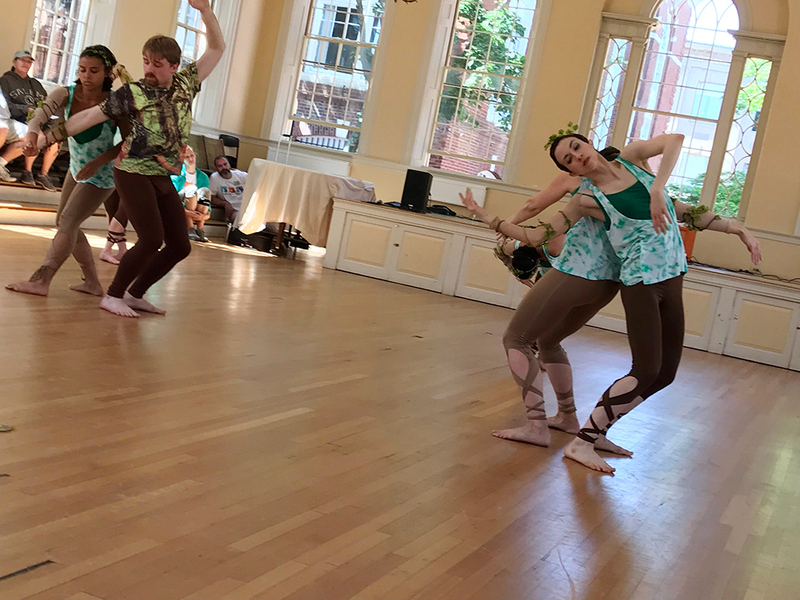 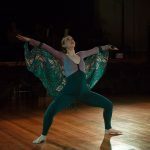 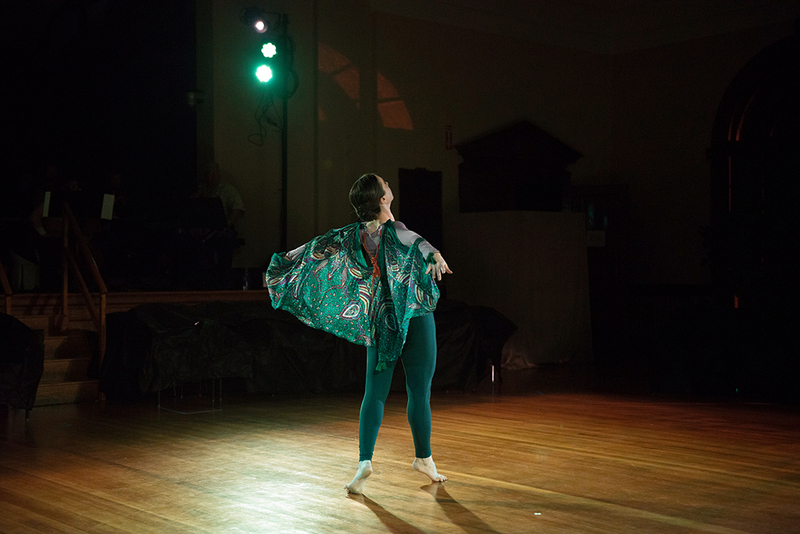 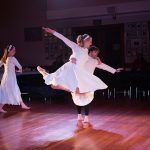 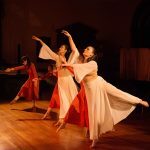 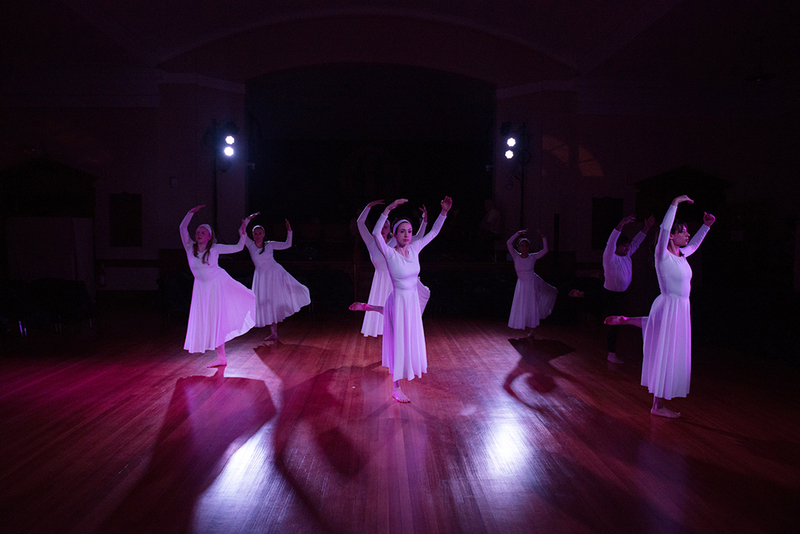 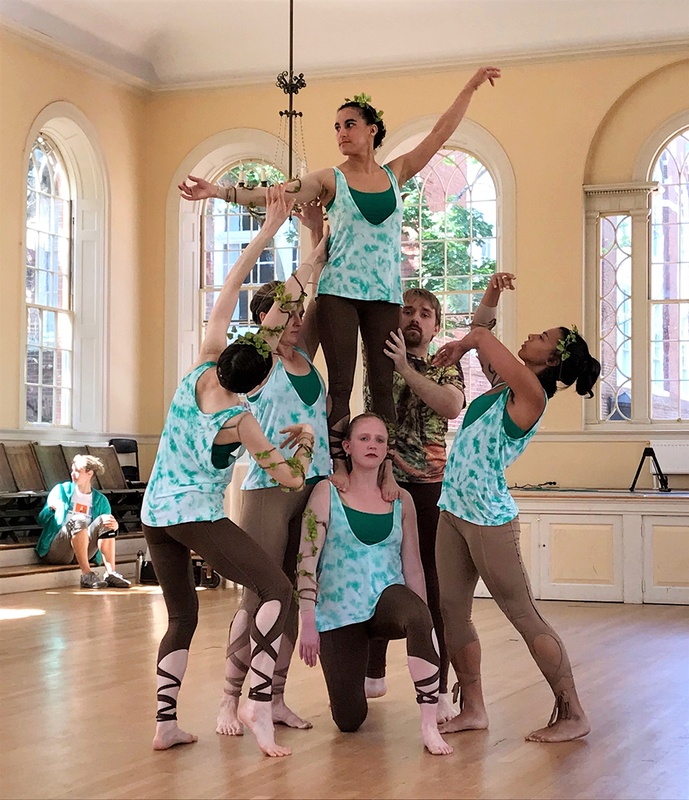 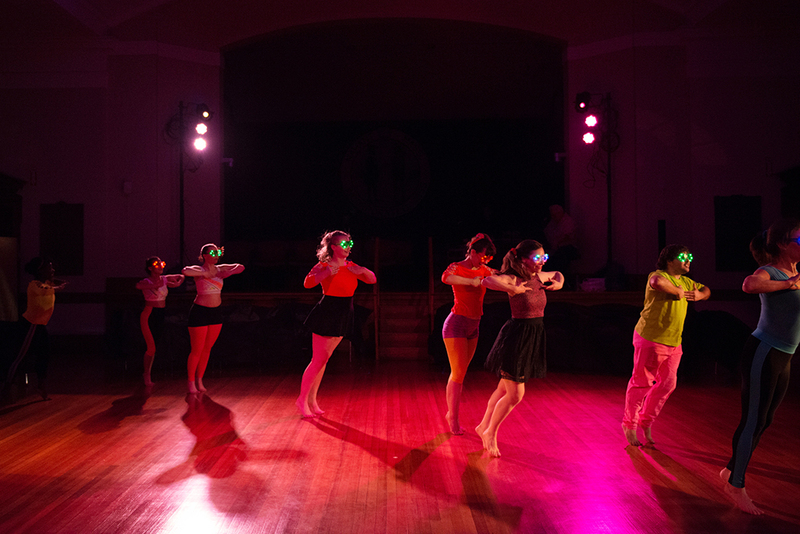 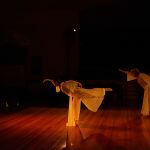 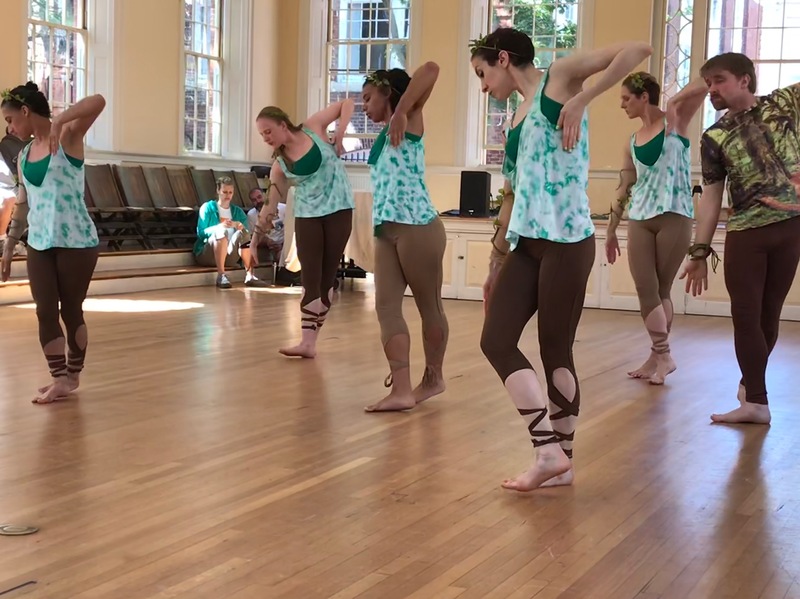 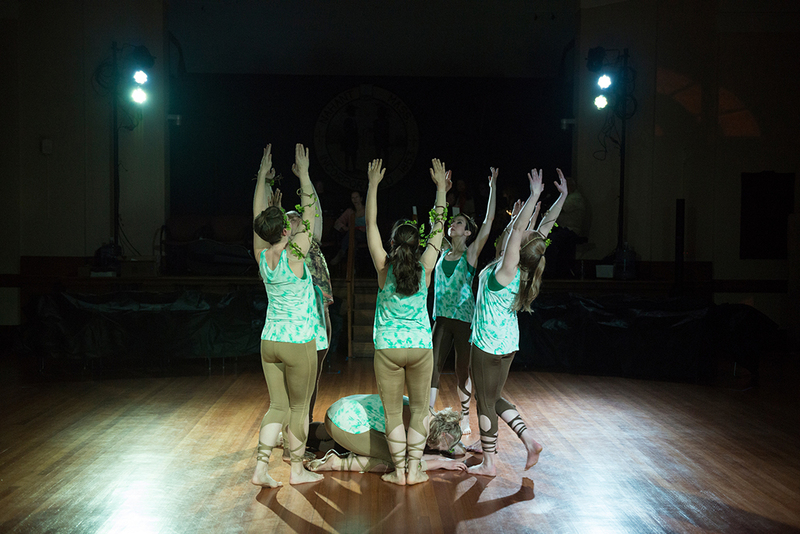 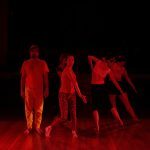 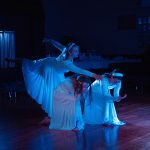 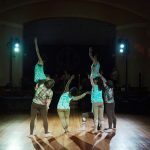 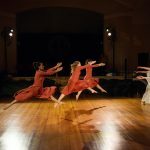 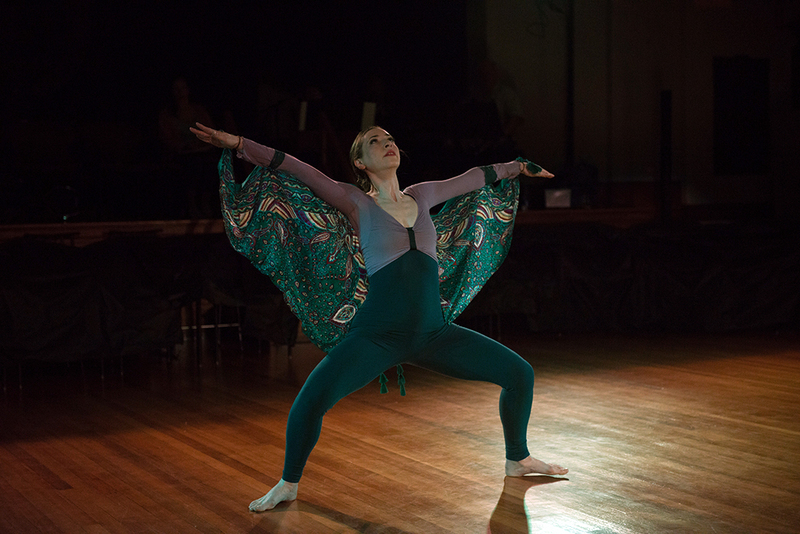 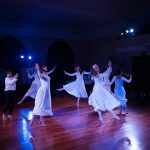 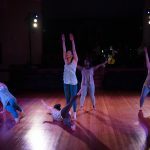 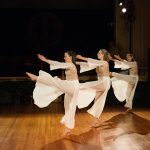 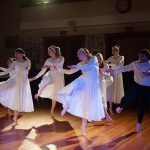 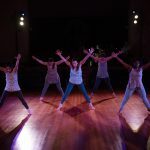 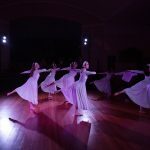 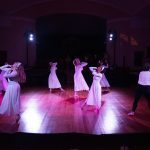 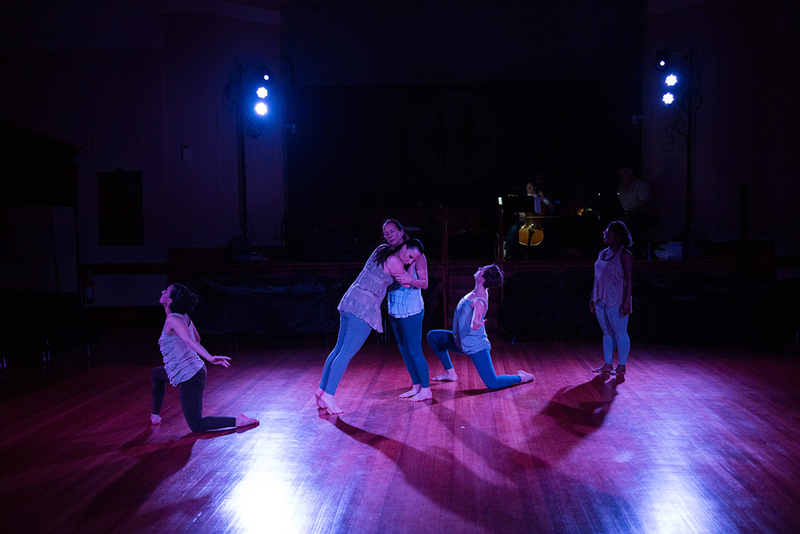 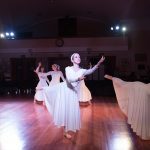 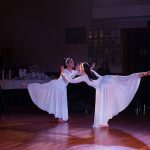 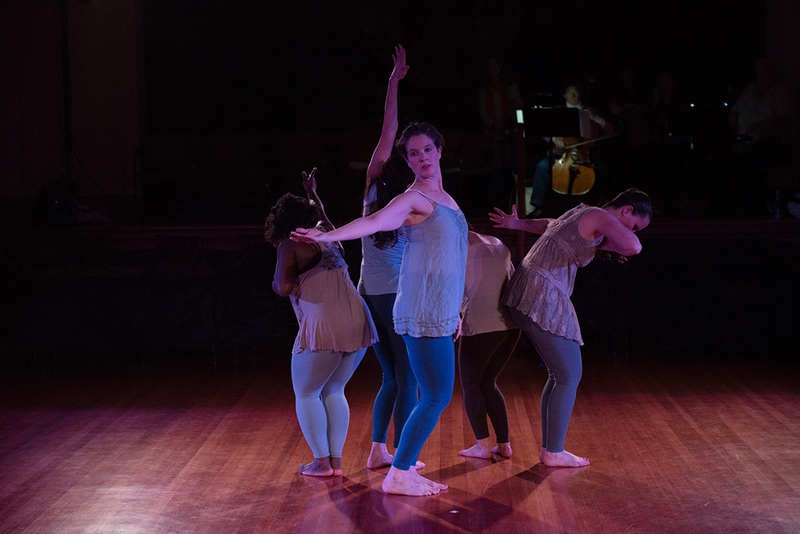 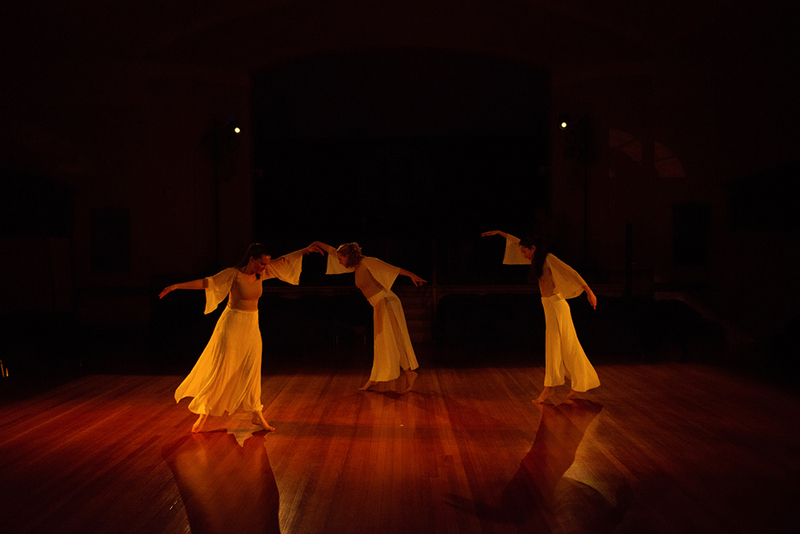 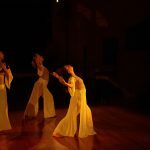 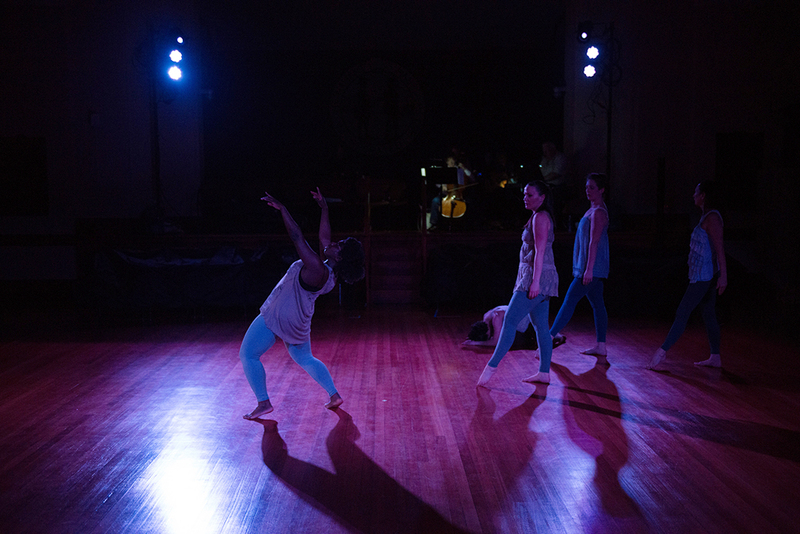 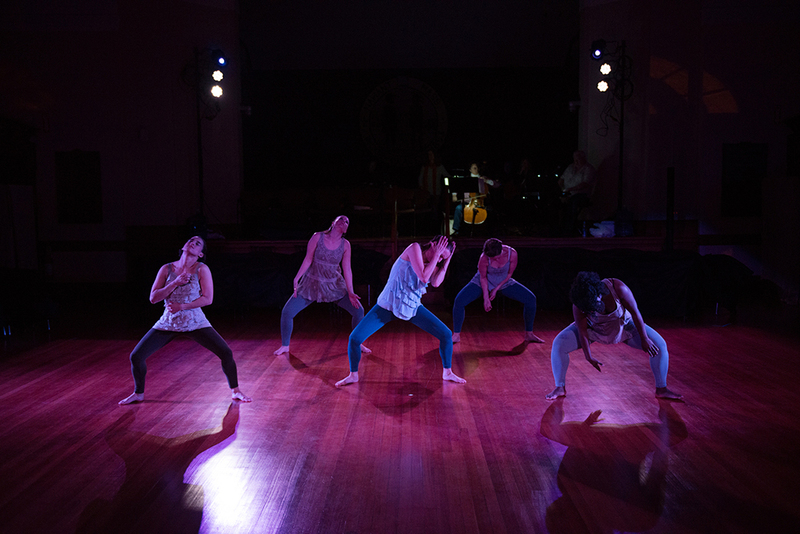 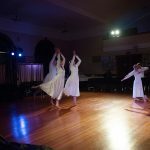 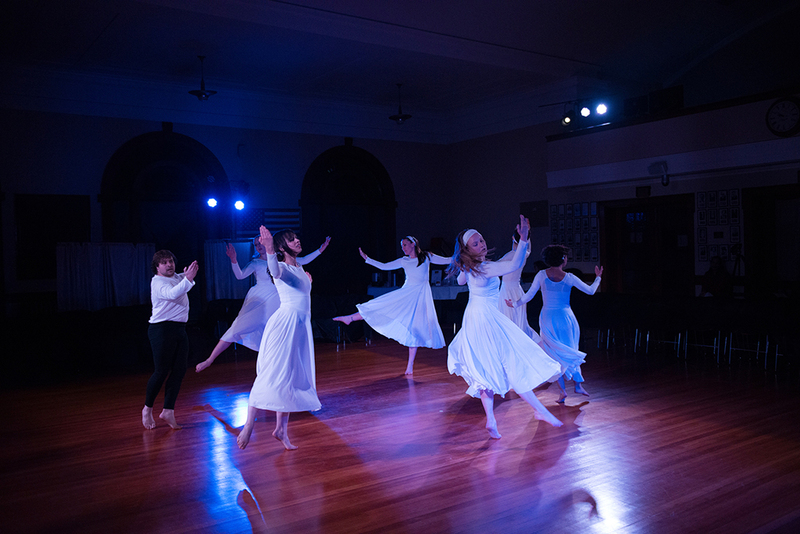 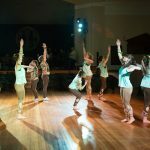 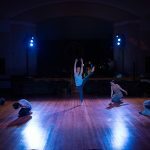 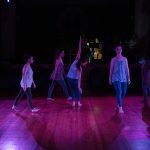 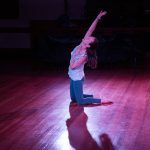 This performance is supported in part by a grant from the Lynn Cultural Council, a local agency which is supported by the Massachusetts Cultural Council, a state agency, and in part by the Nahant Preservation Trust. 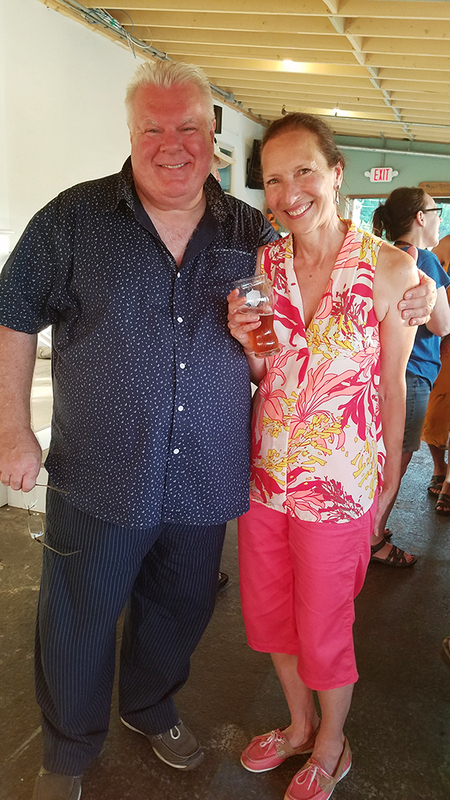 Saturday, June 30, 2018 at 2 p.m.
Tee off at 3 p.m.
Cocktails & Dinner Buffet 5-8 p.m.
Two events in one: come just for Dinner or join us for Golf as well! 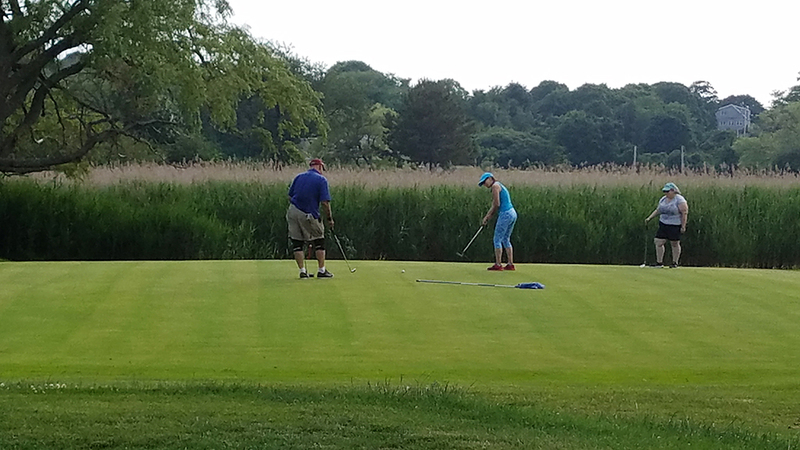 If you have never golfed before, now is your chance to try! 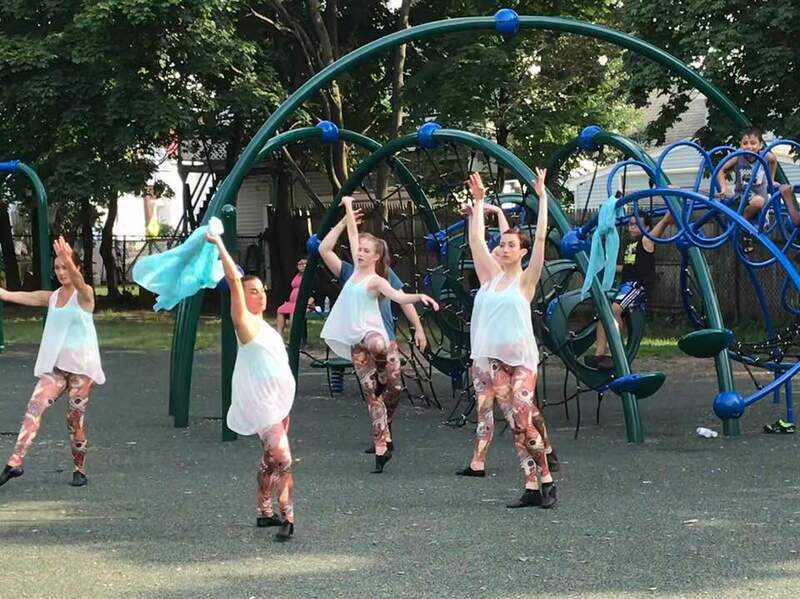 A limited number of clubs will be available on loan from Nahant Golf Club but must be reserved in advance by emailing sallee@fortystepsdance.org. 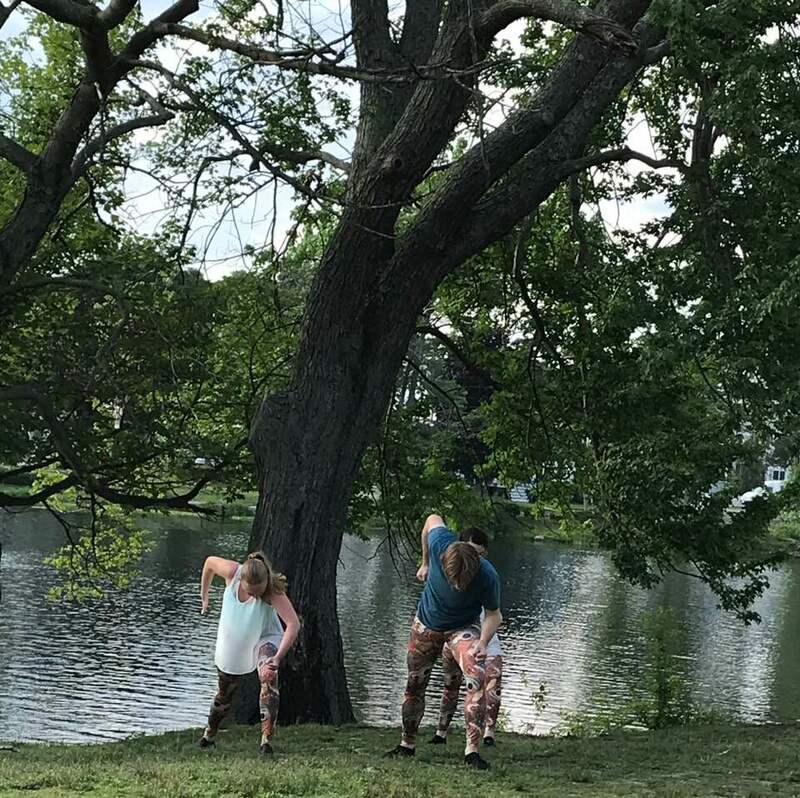 Not interested in Golfing? 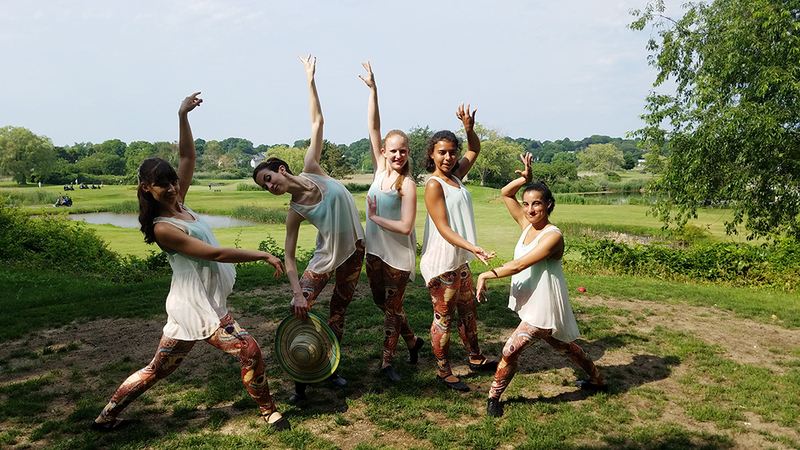 Join us for Cocktails, Dinner and more pop-up performances at Nahant Golf Club’s Seasons Restaurant at 5 p.m. 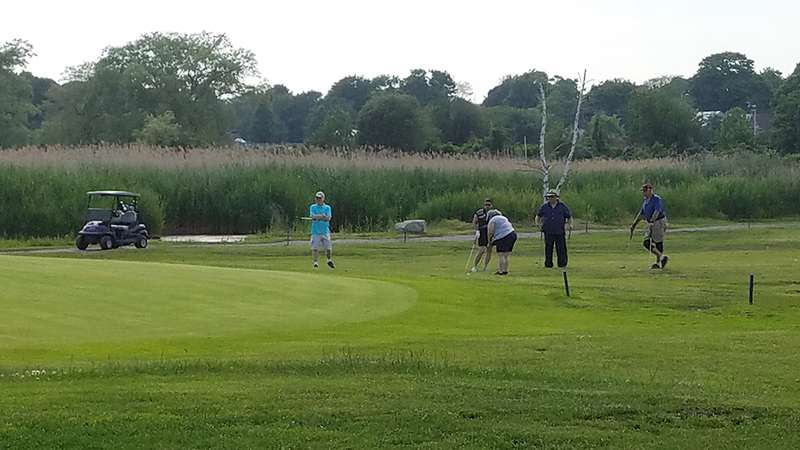 Please consider donating toward the golf portion of the event by Sponsoring a Golfer below. 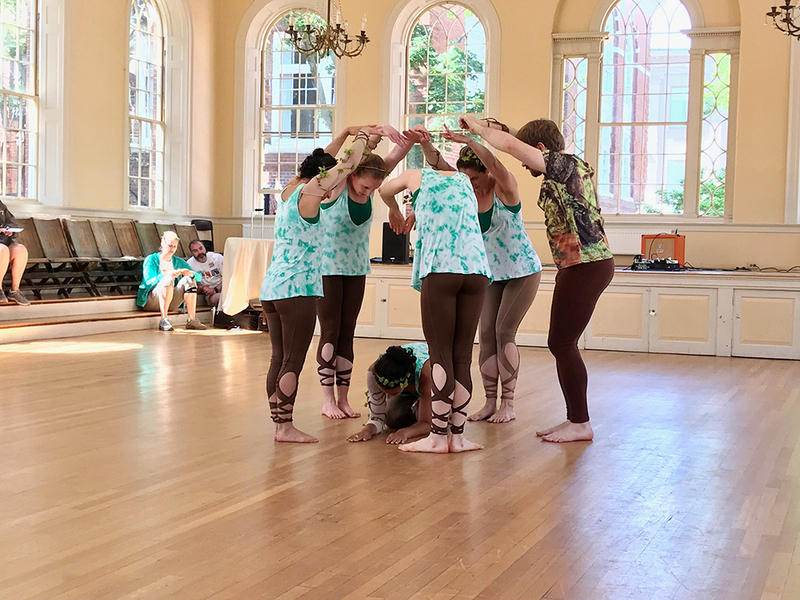 Derby Square, Old Town Hall, Artists’ Row – Salem MA. 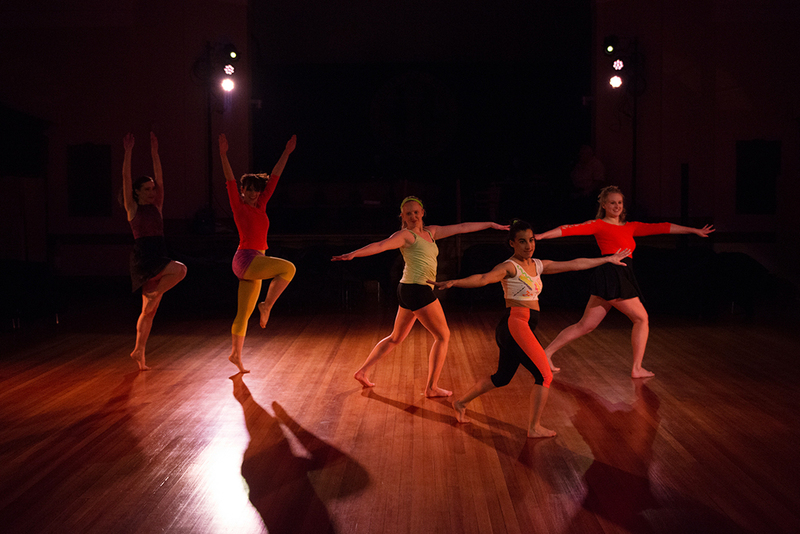 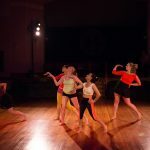 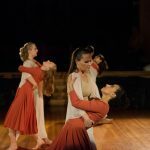 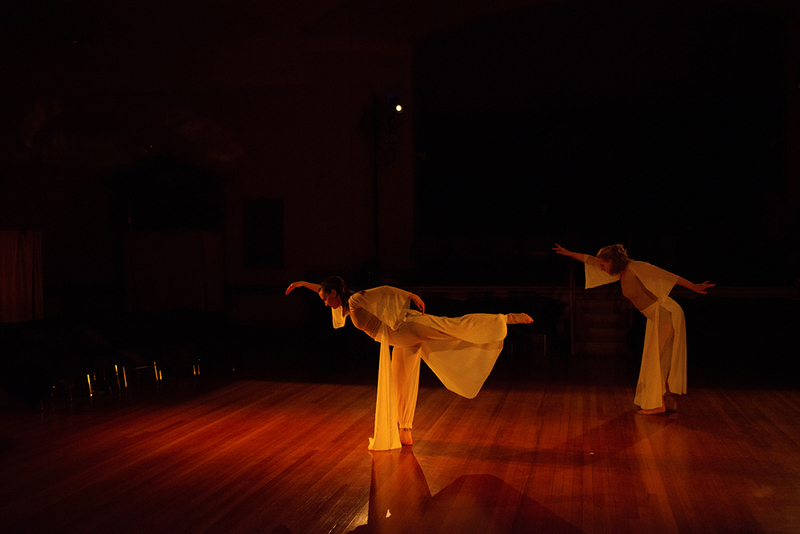 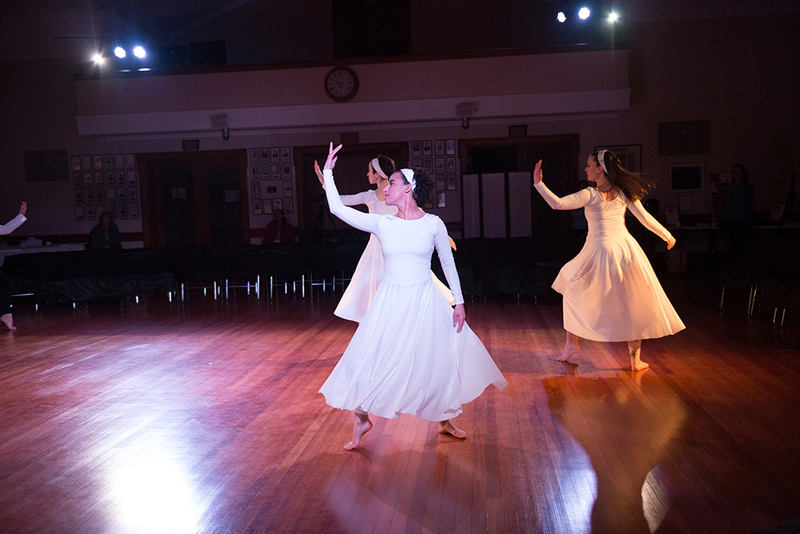 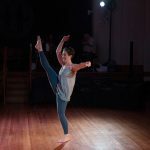 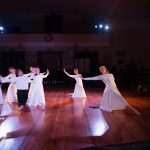 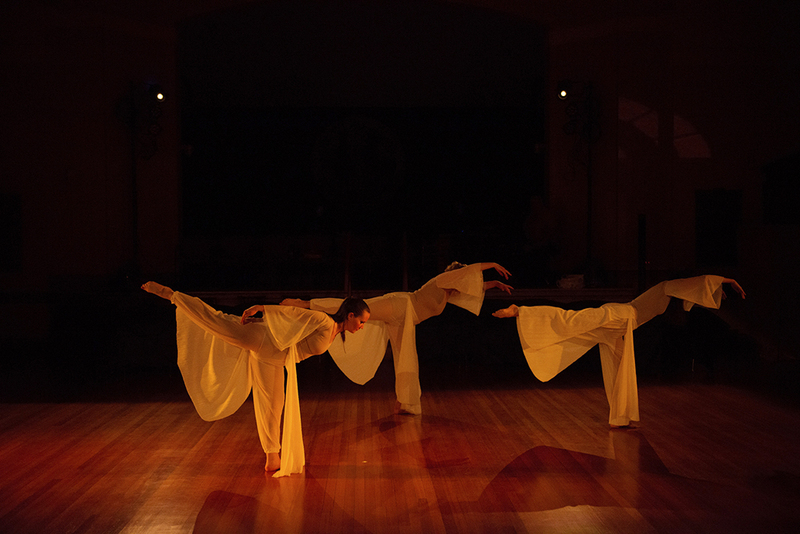 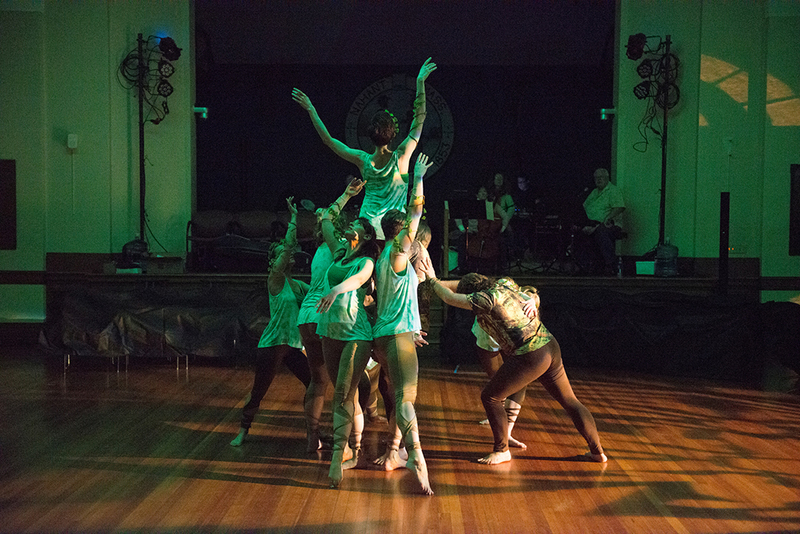 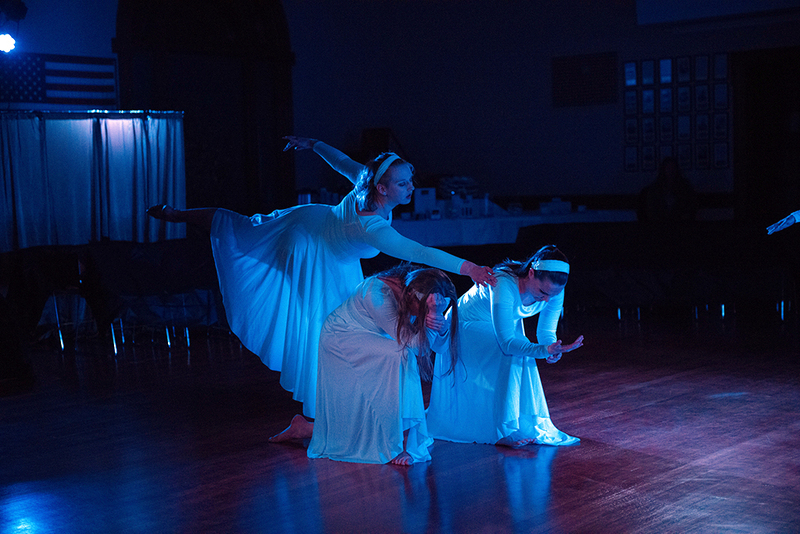 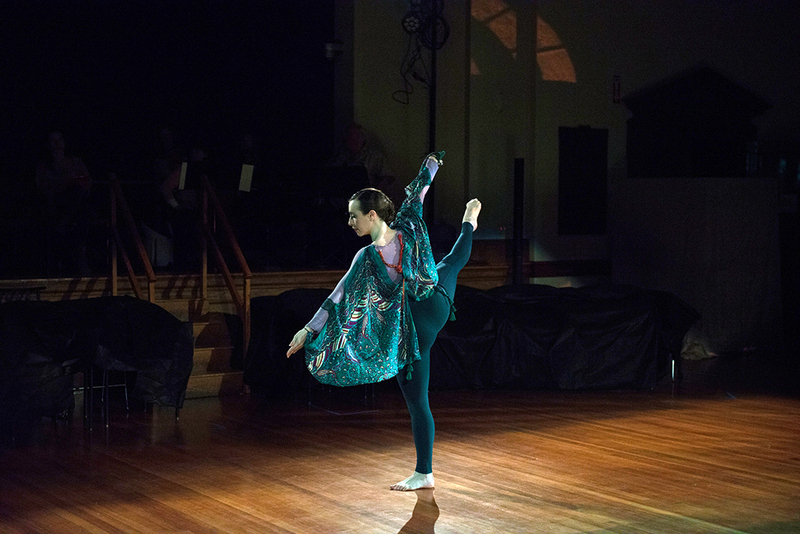 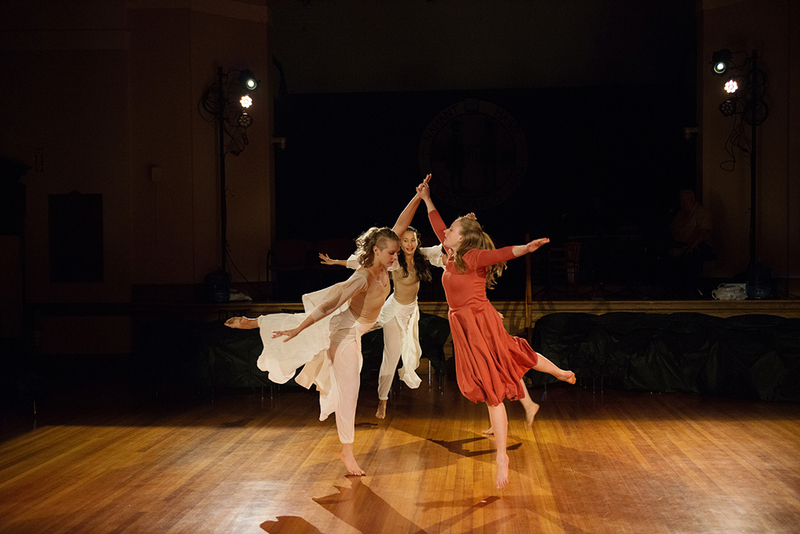 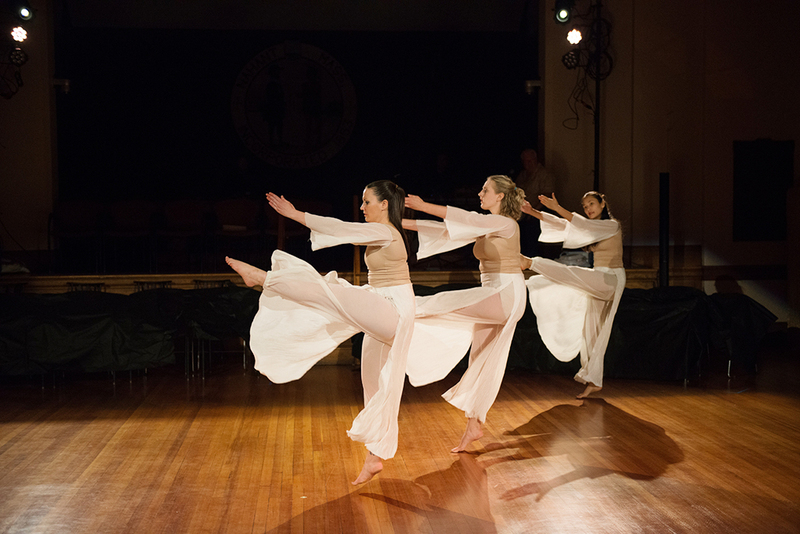 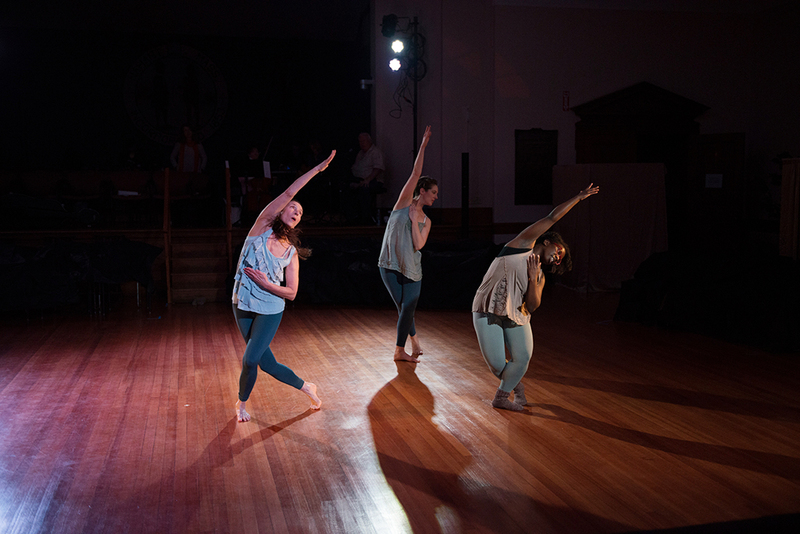 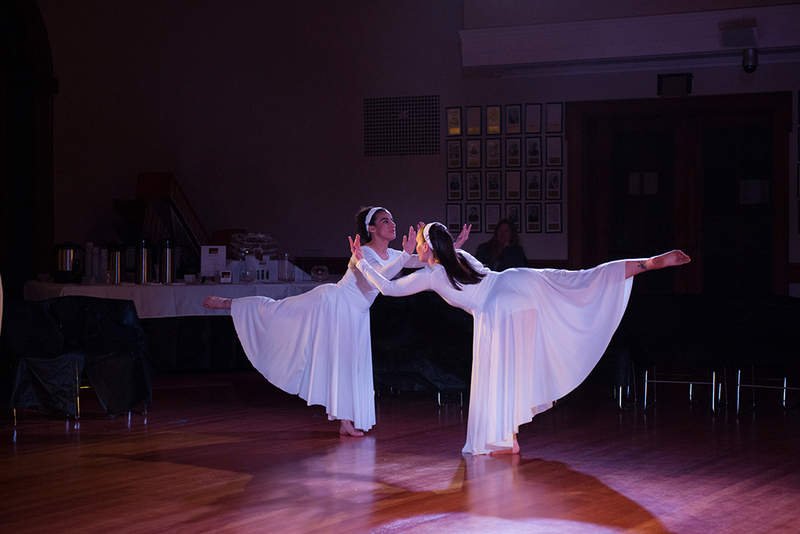 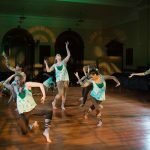 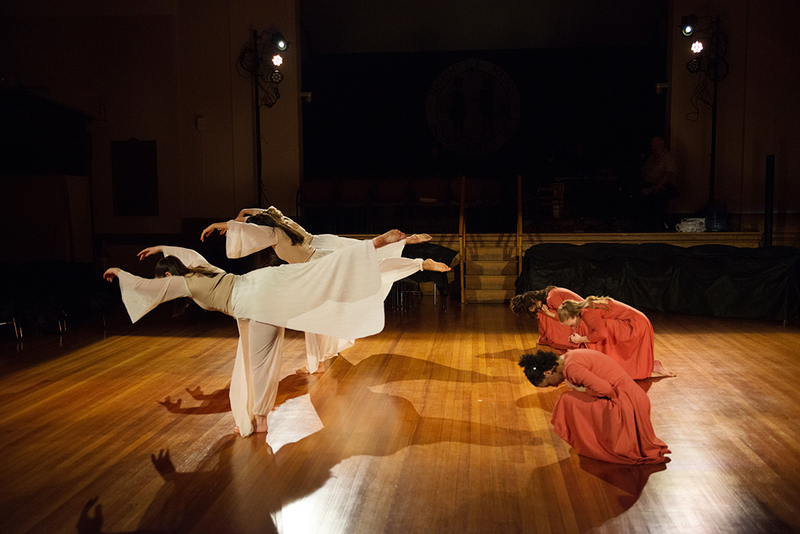 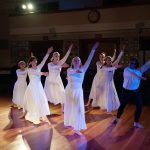 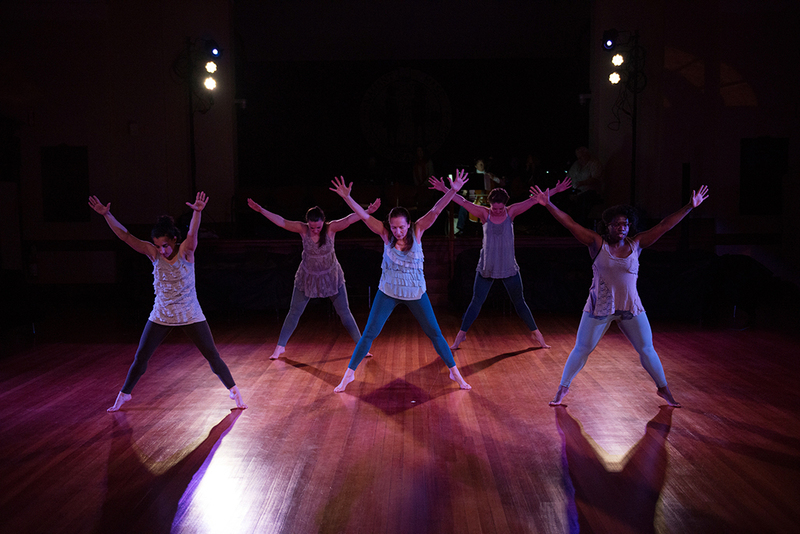 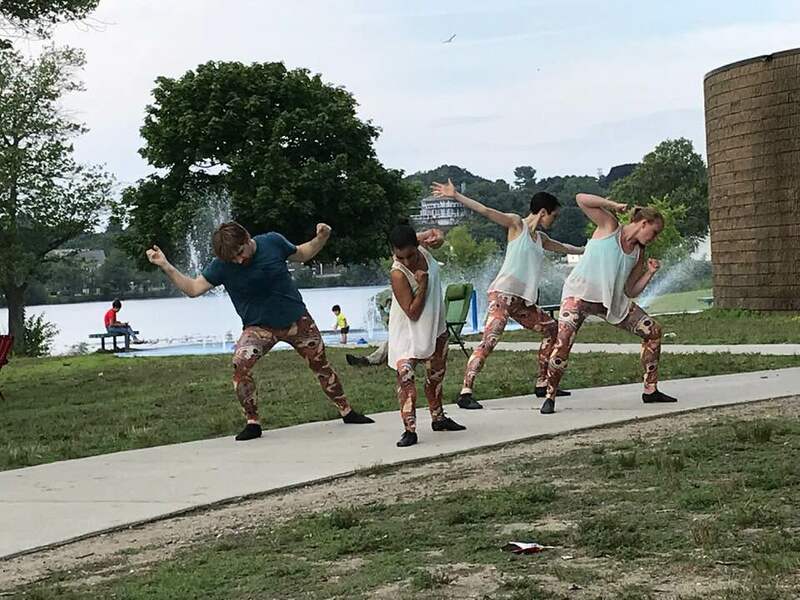 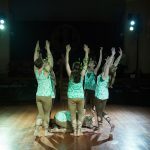 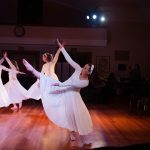 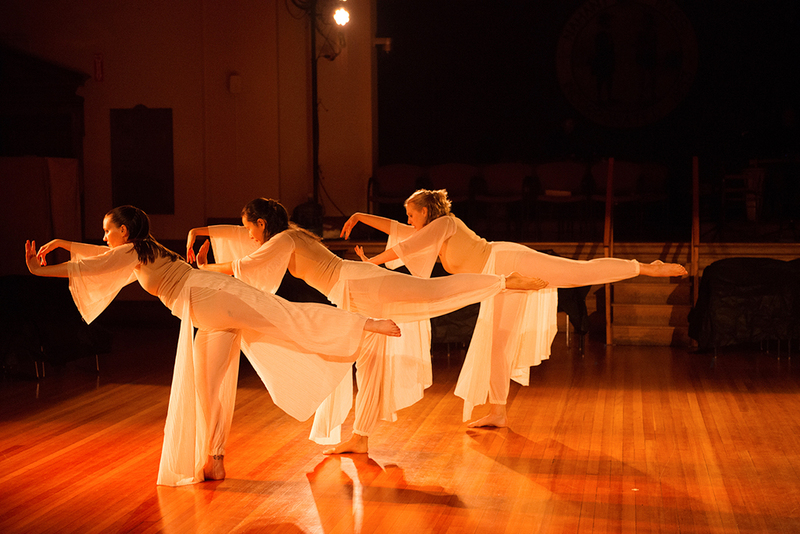 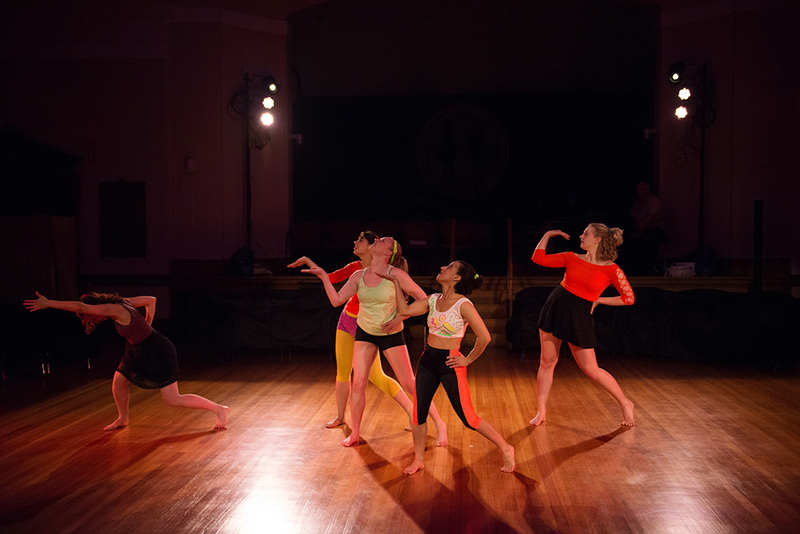 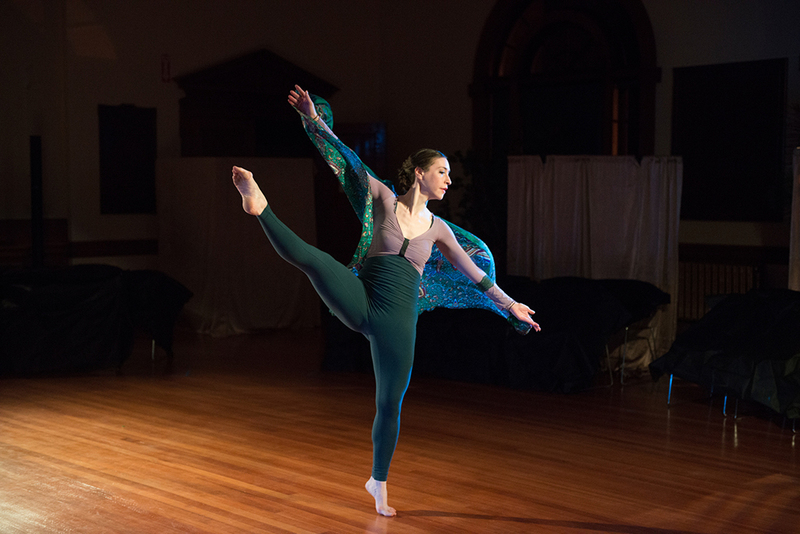 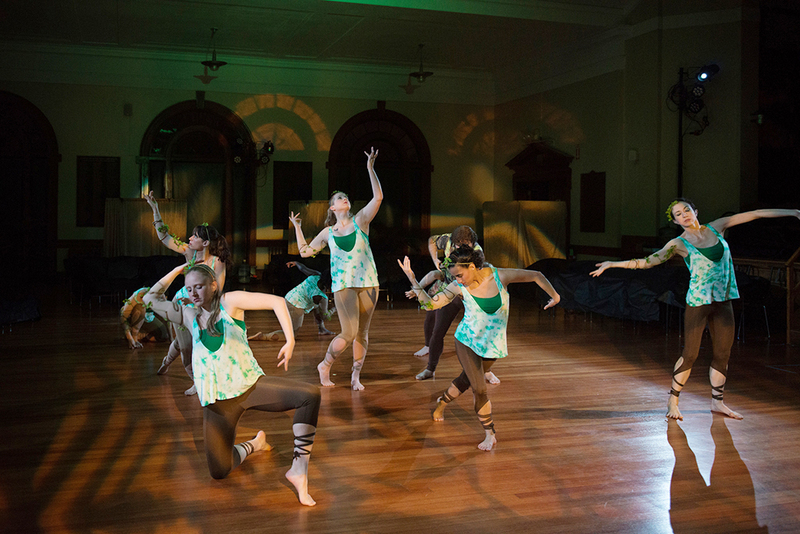 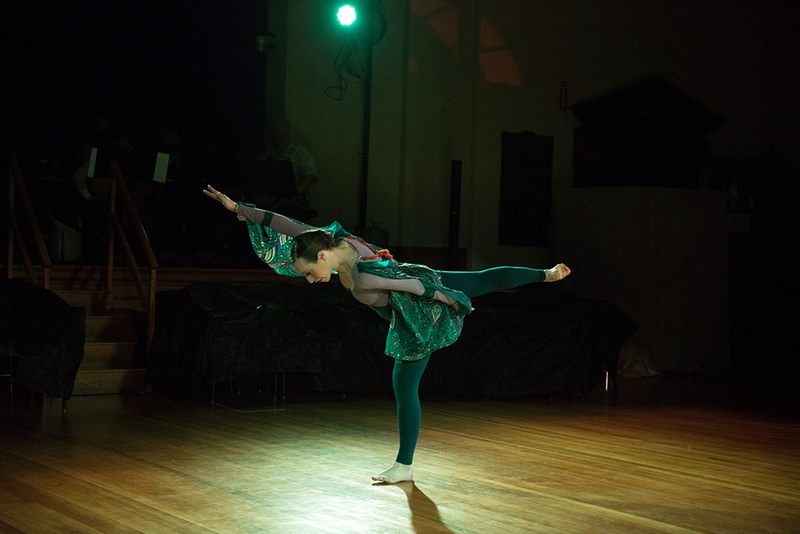 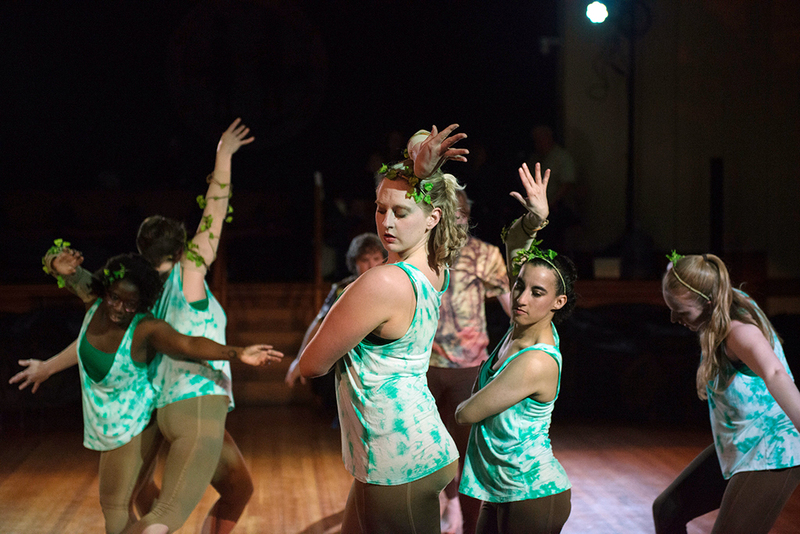 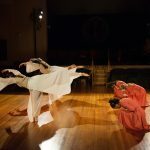 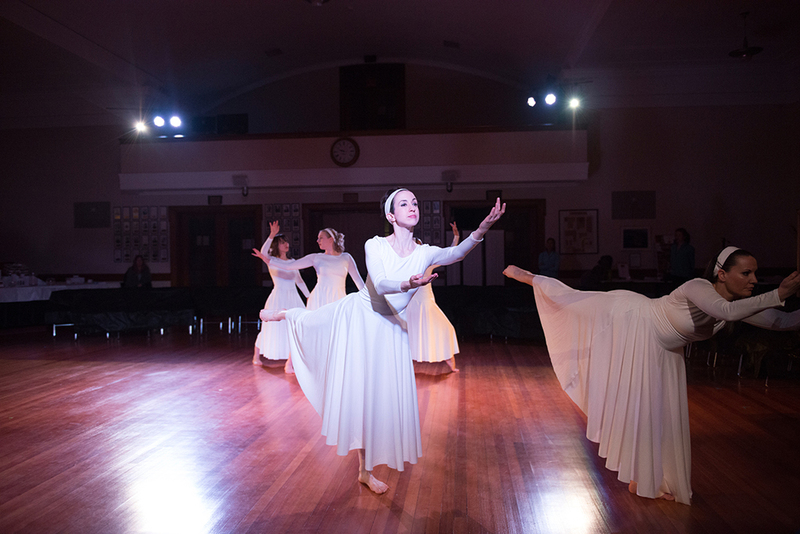 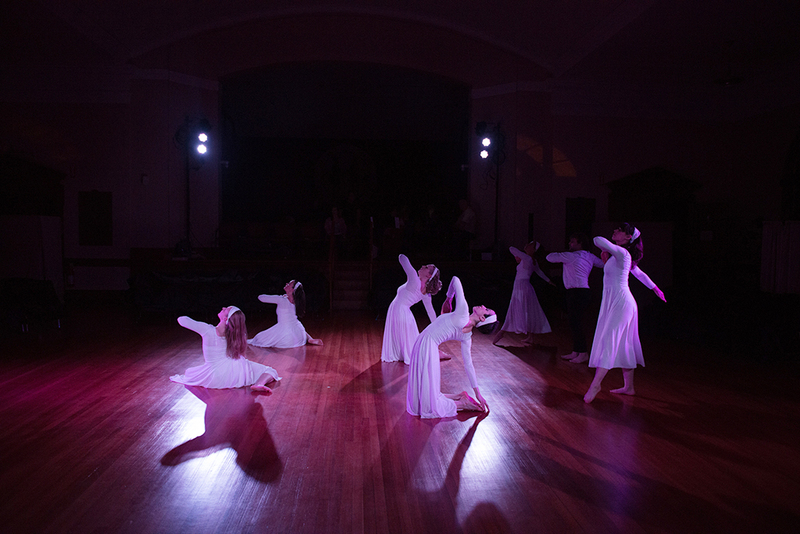 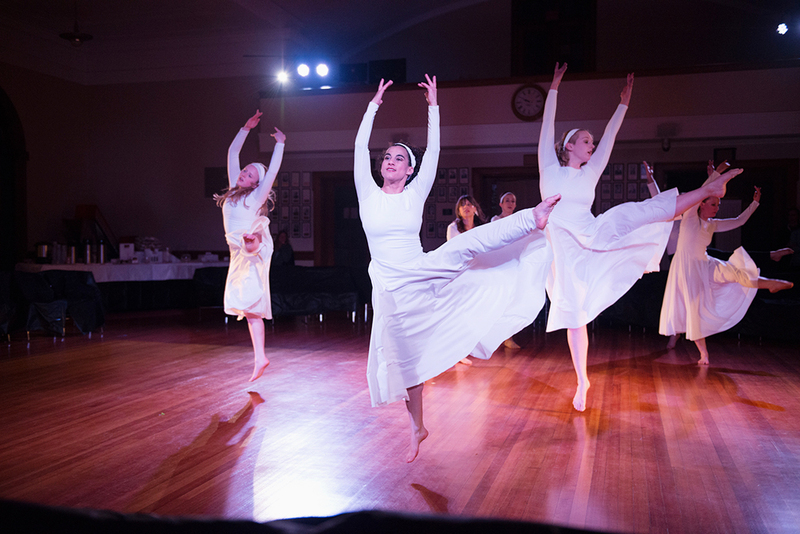 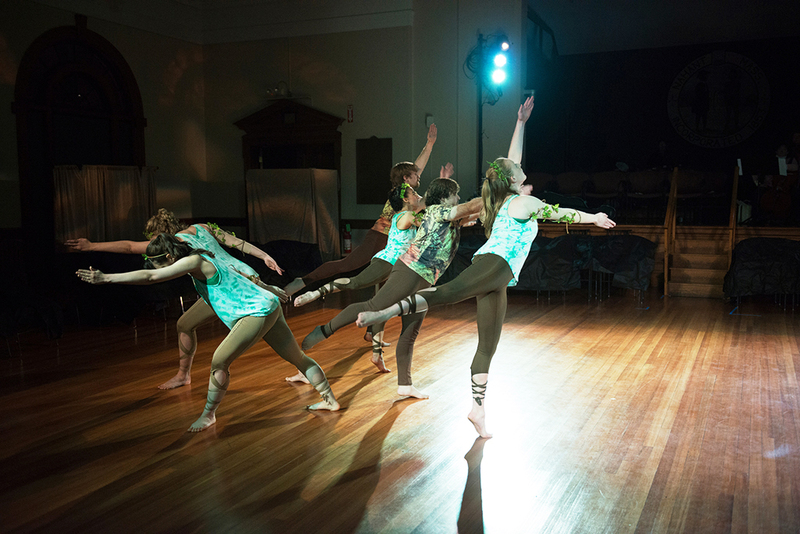 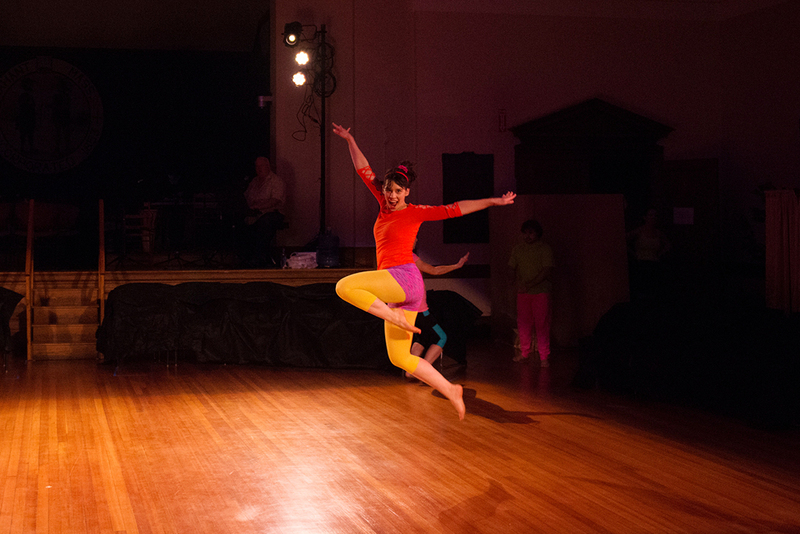 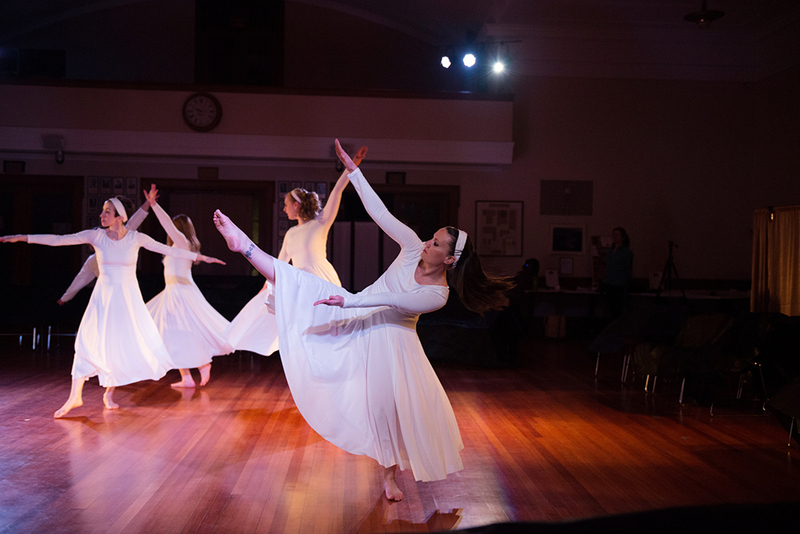 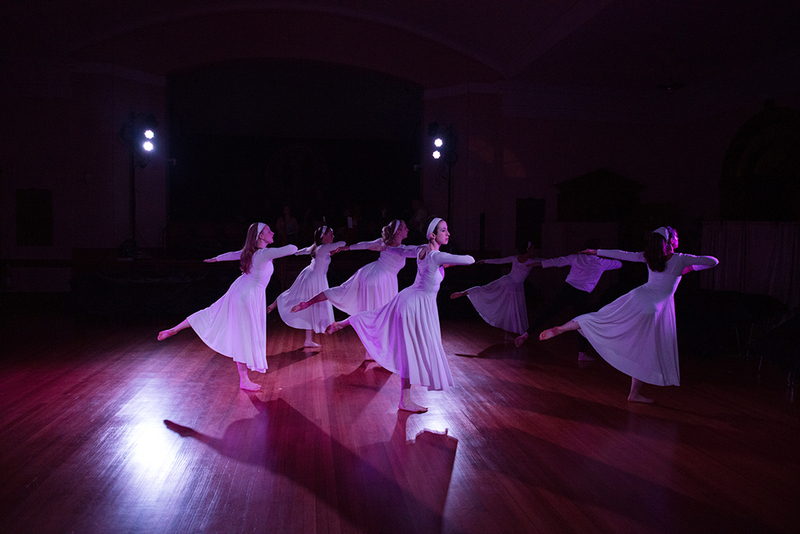 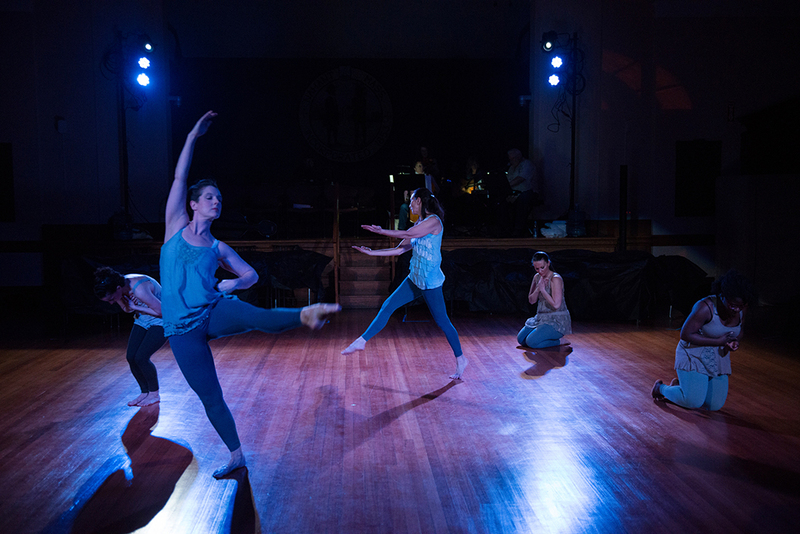 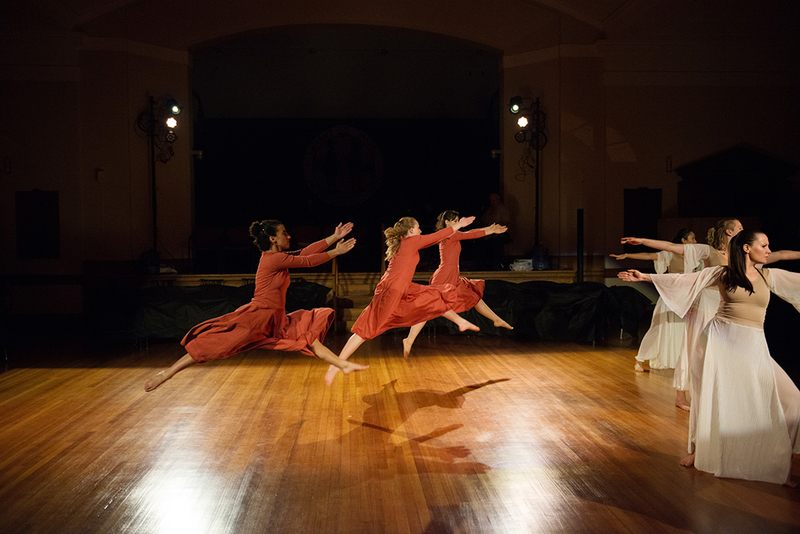 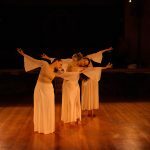 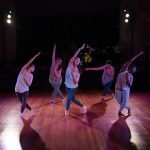 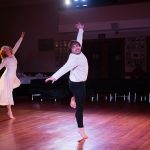 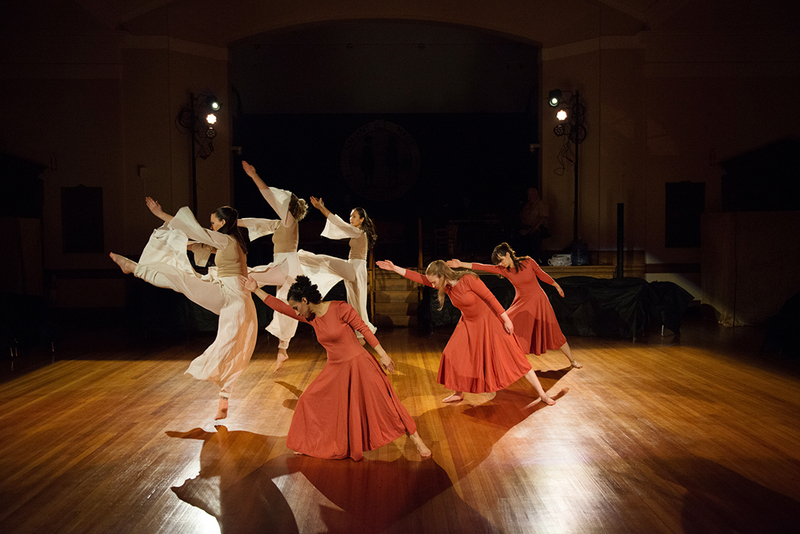 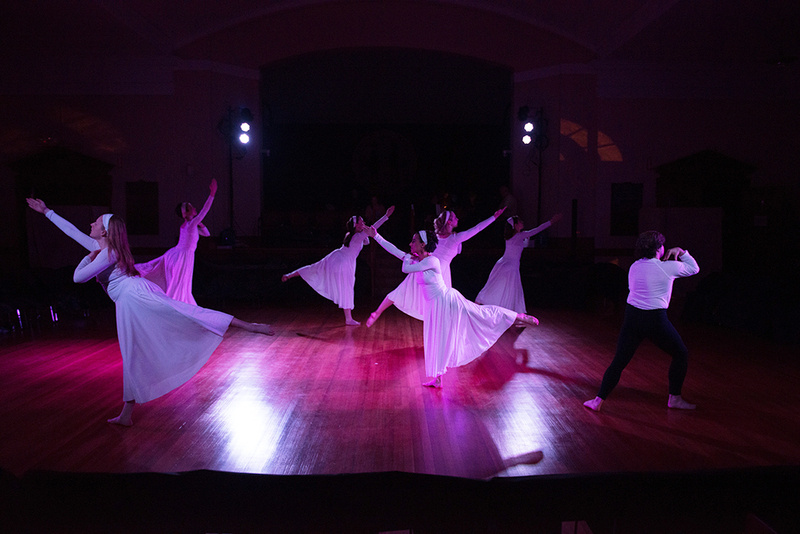 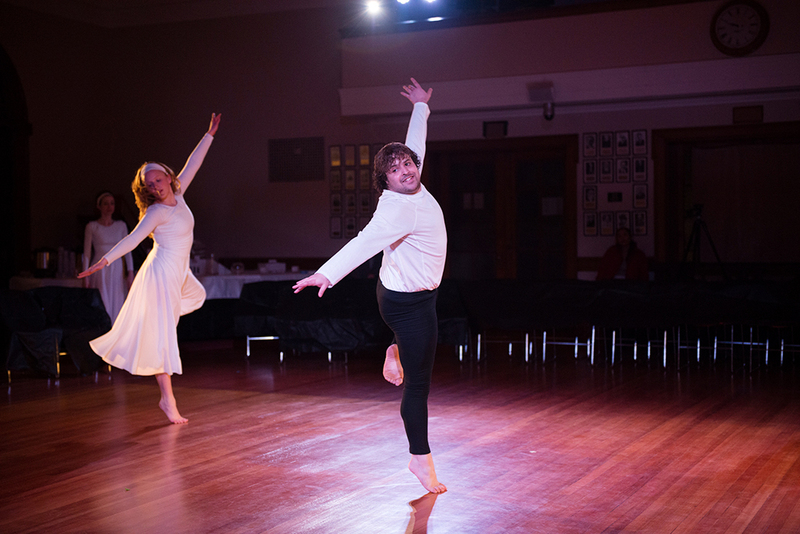 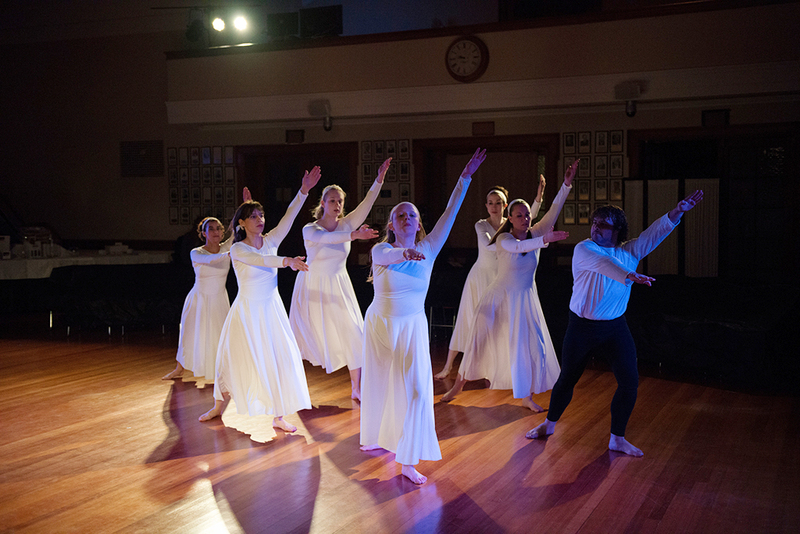 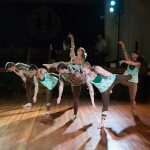 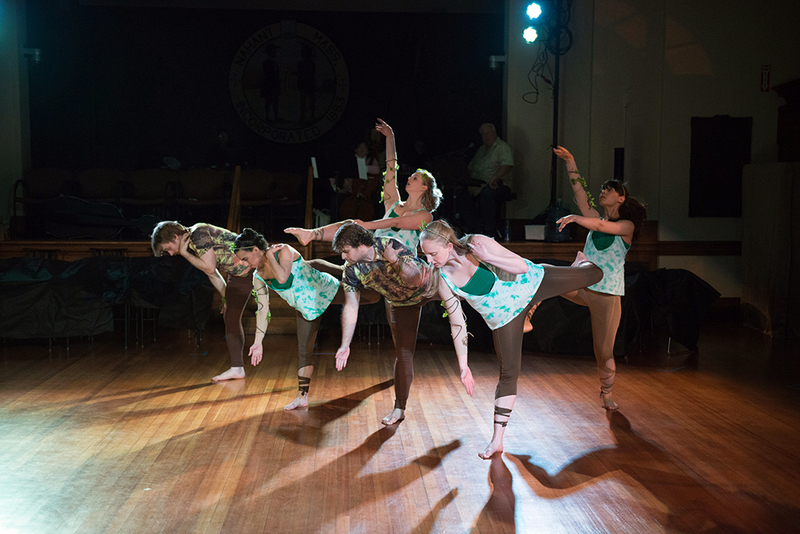 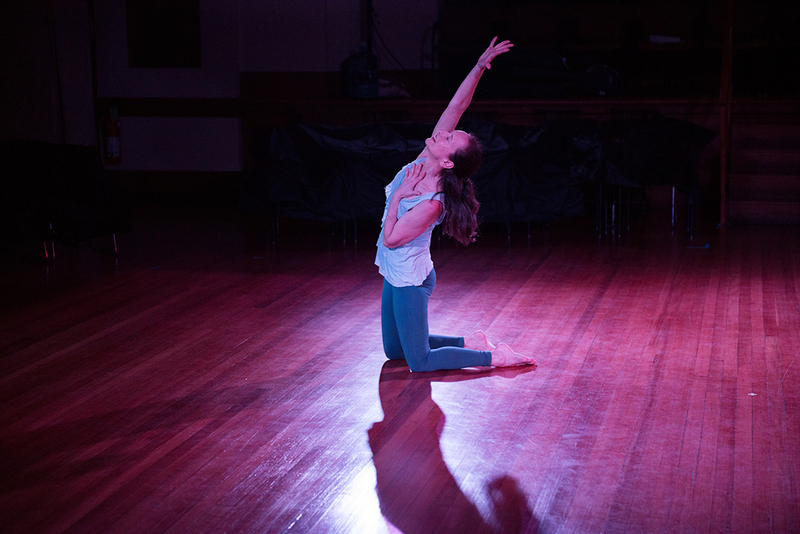 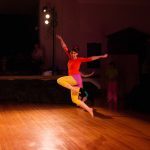 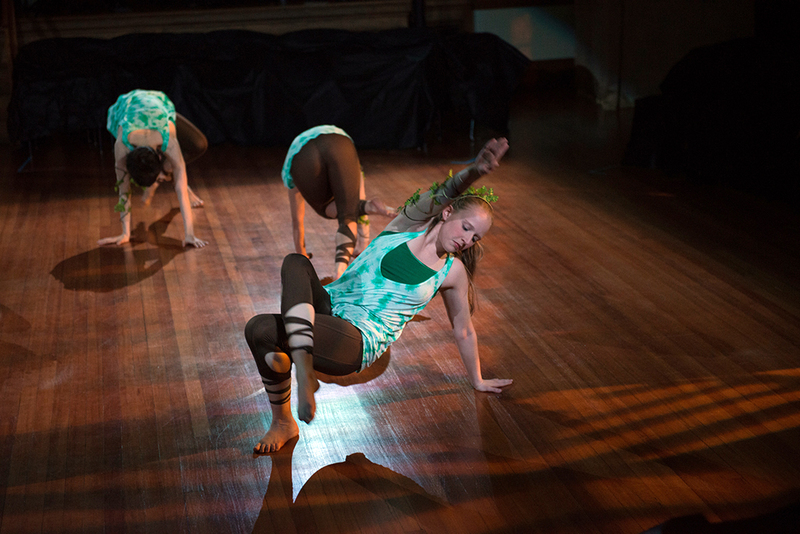 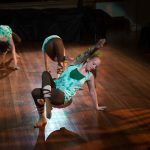 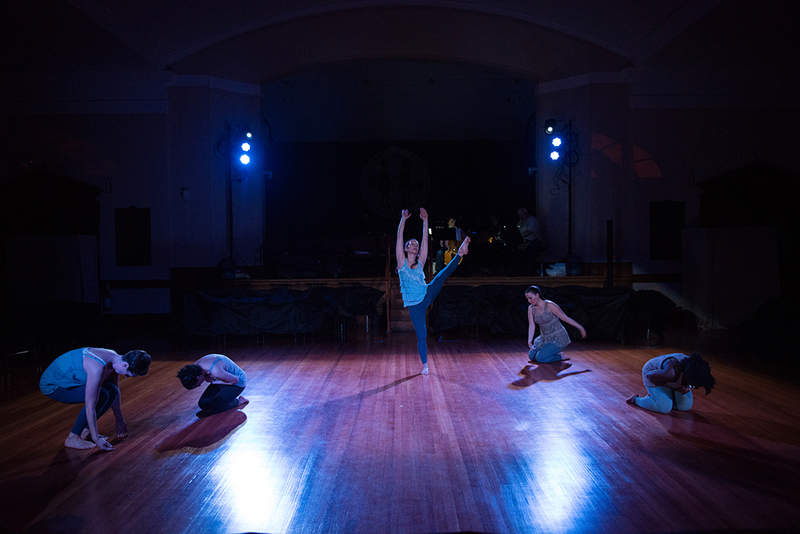 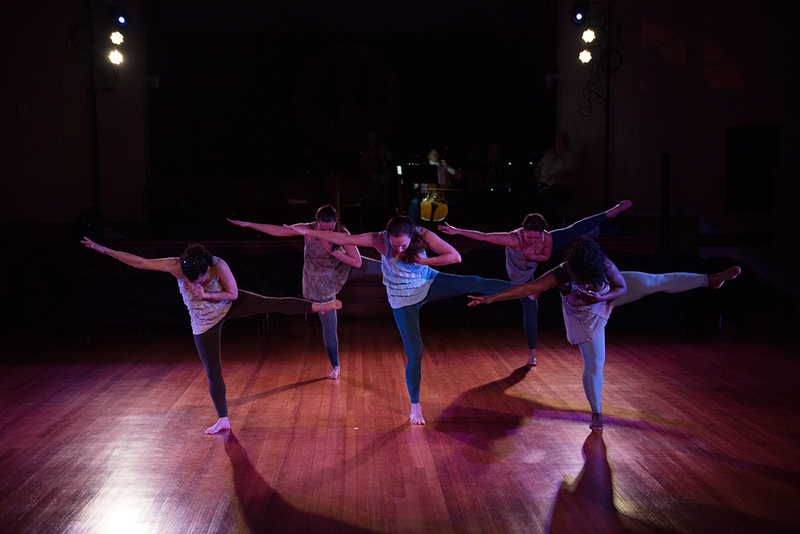 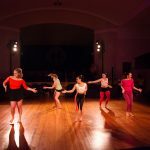 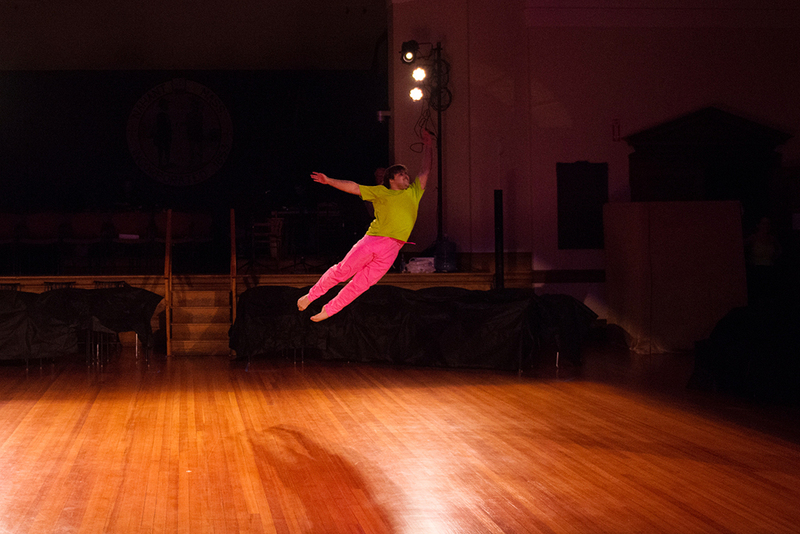 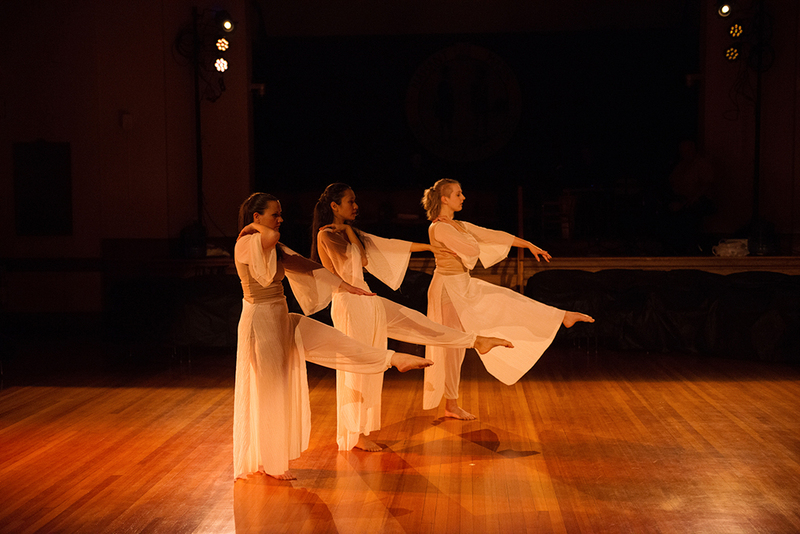 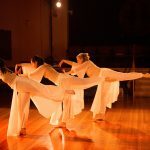 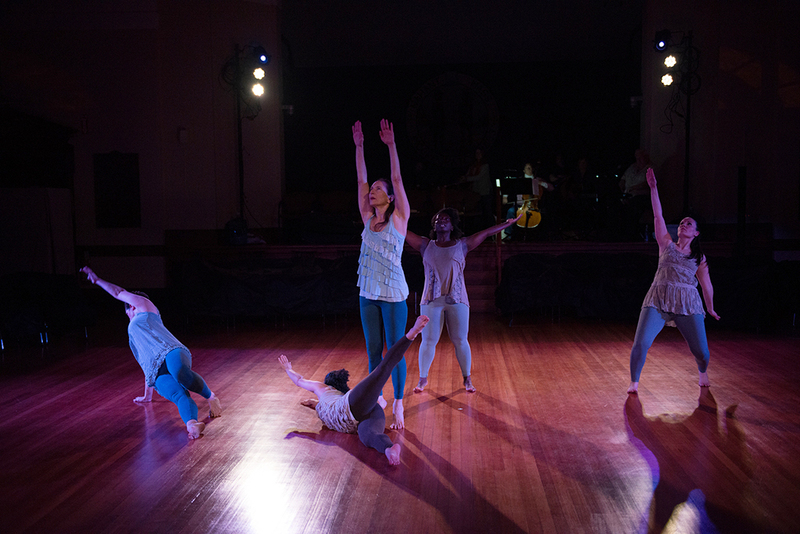 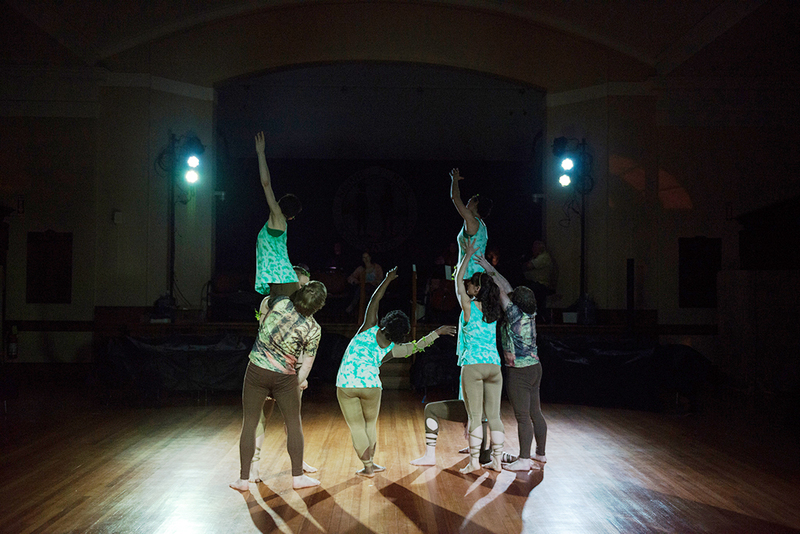 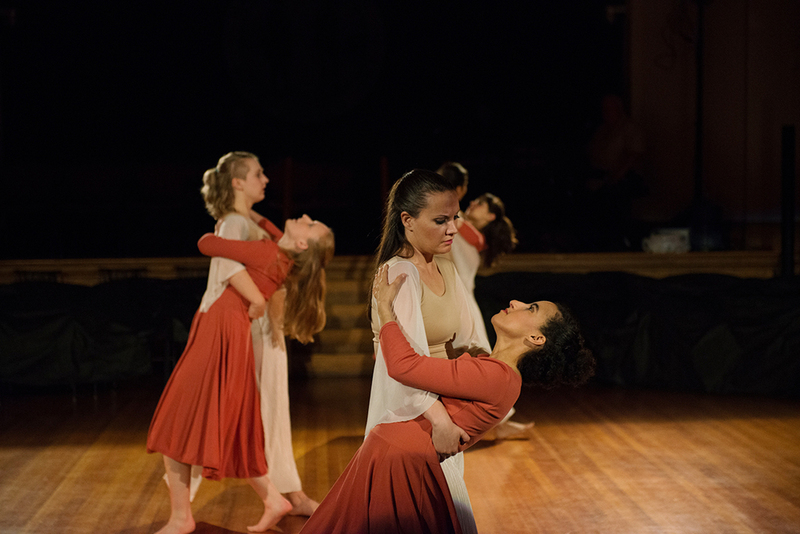 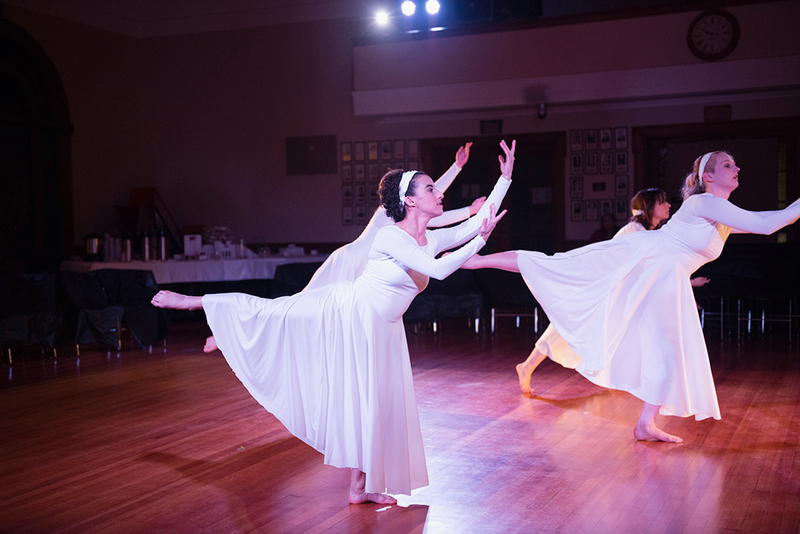 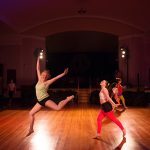 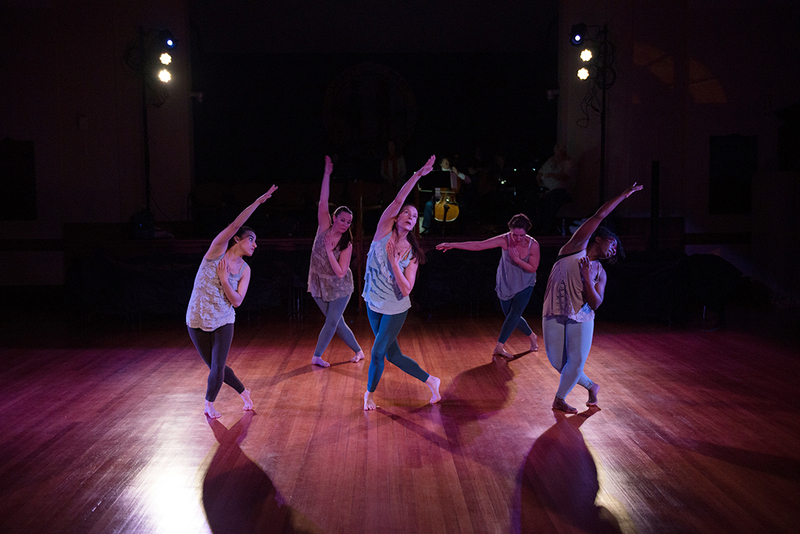 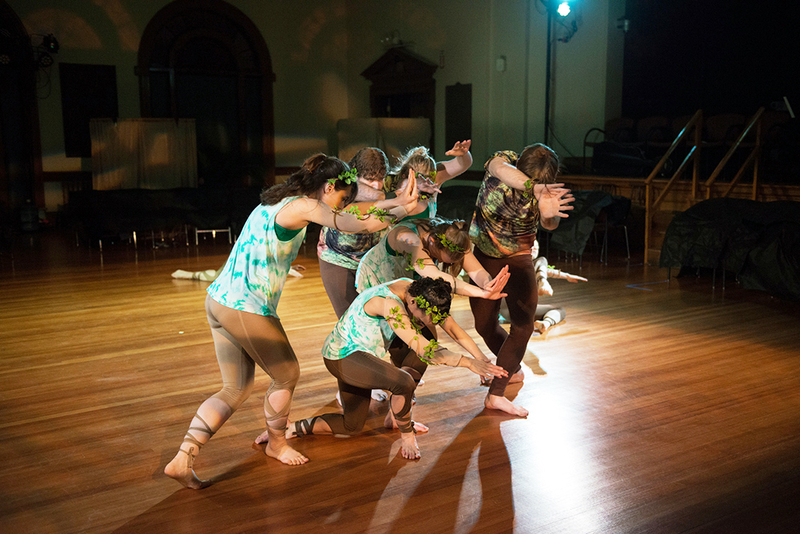 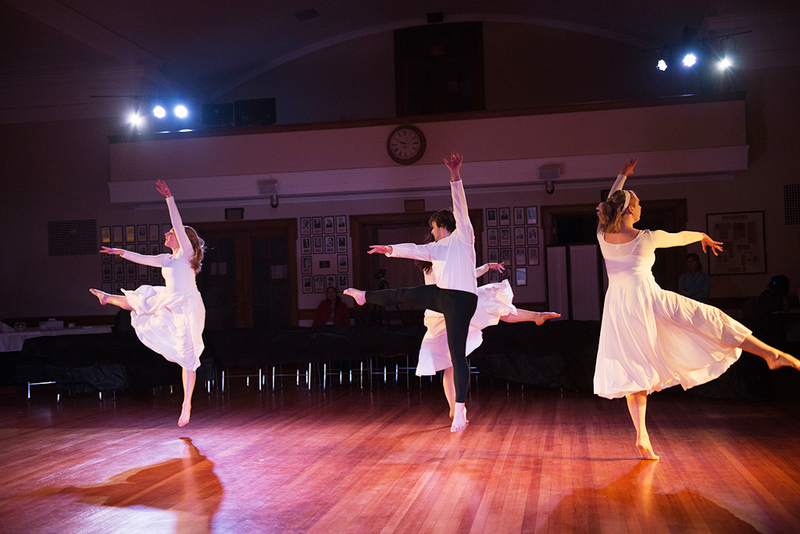 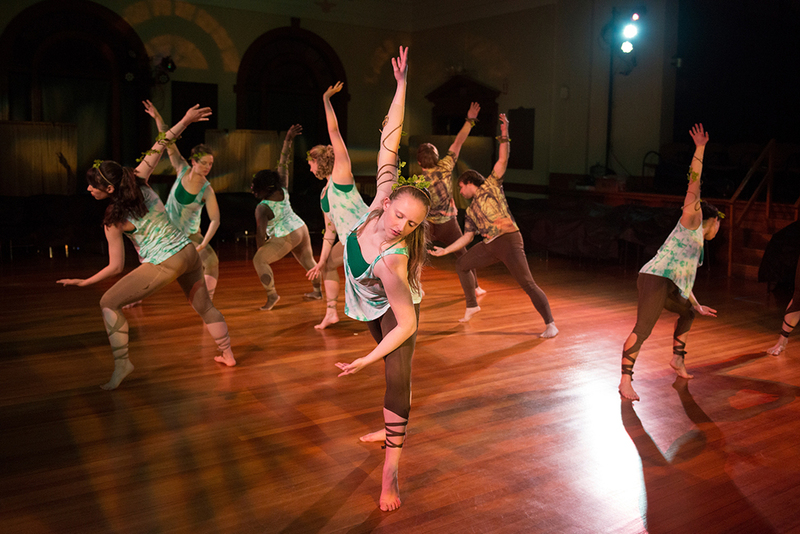 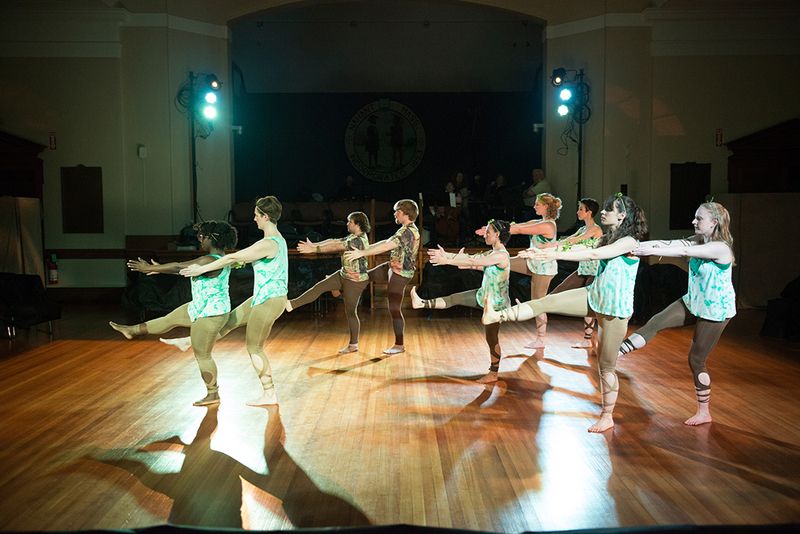 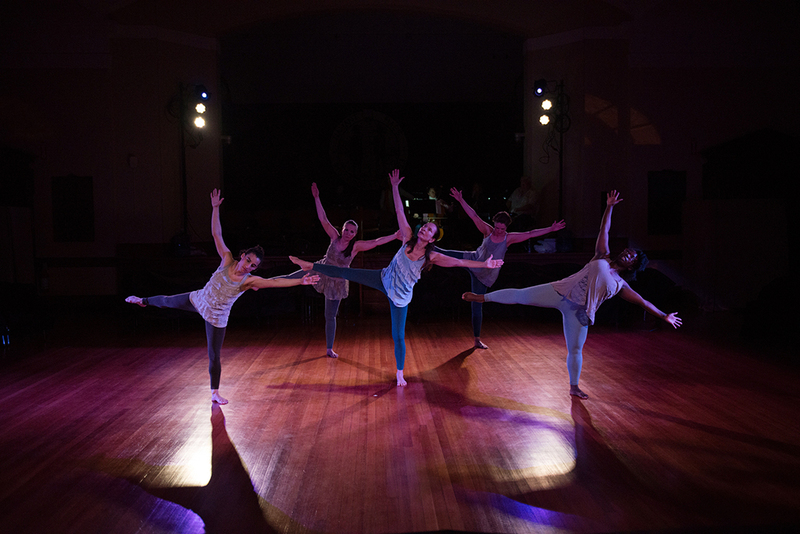 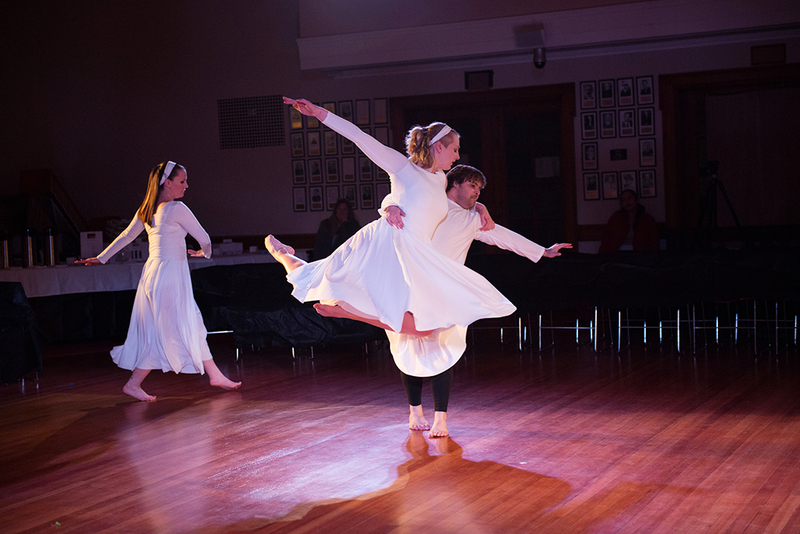 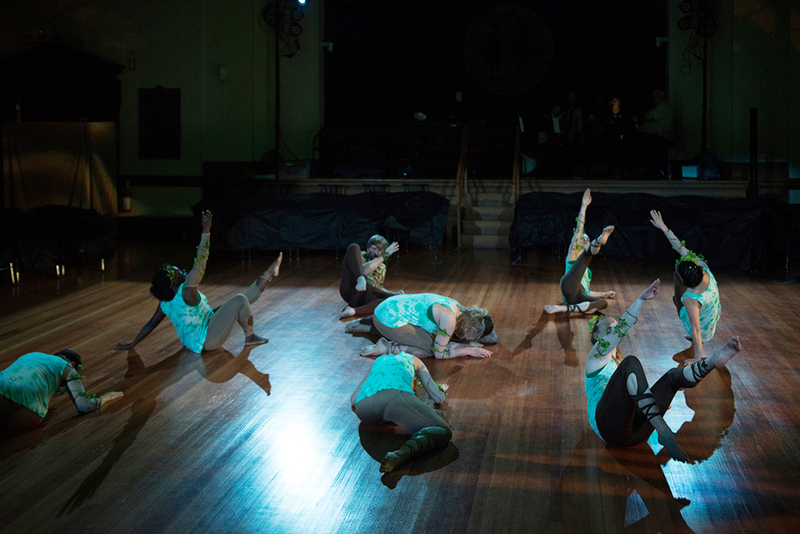 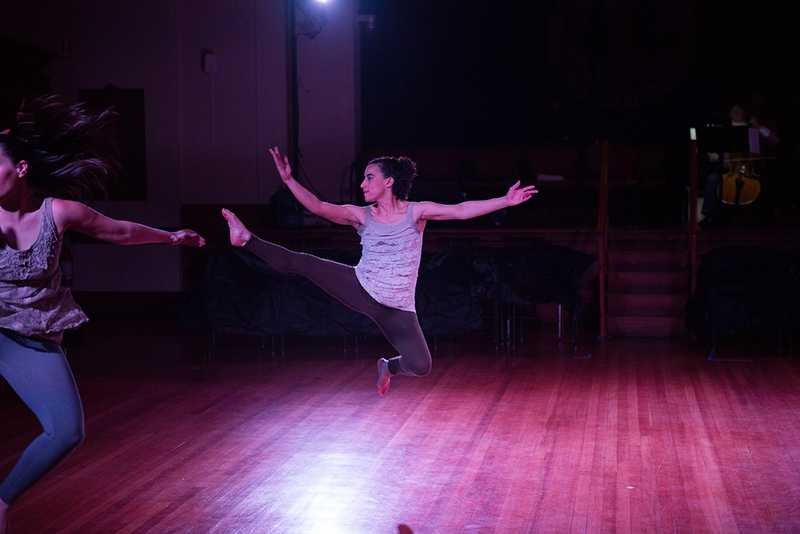 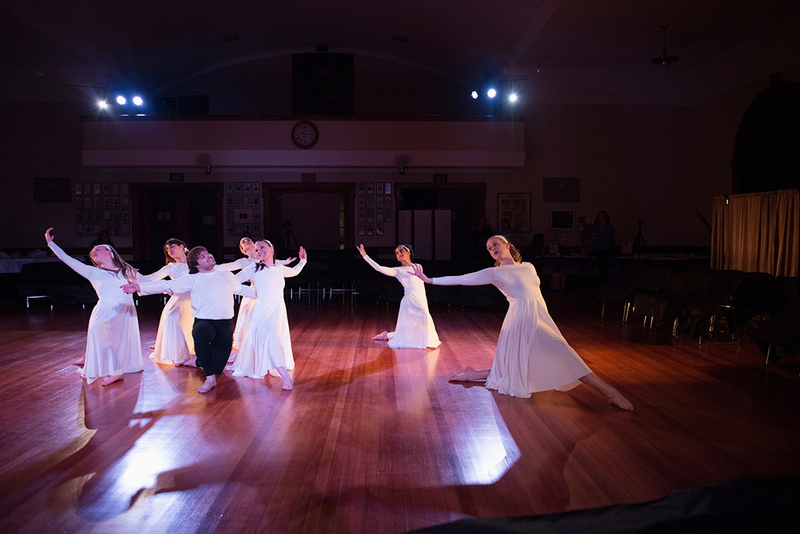 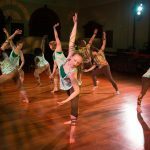 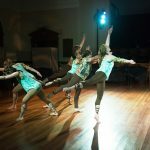 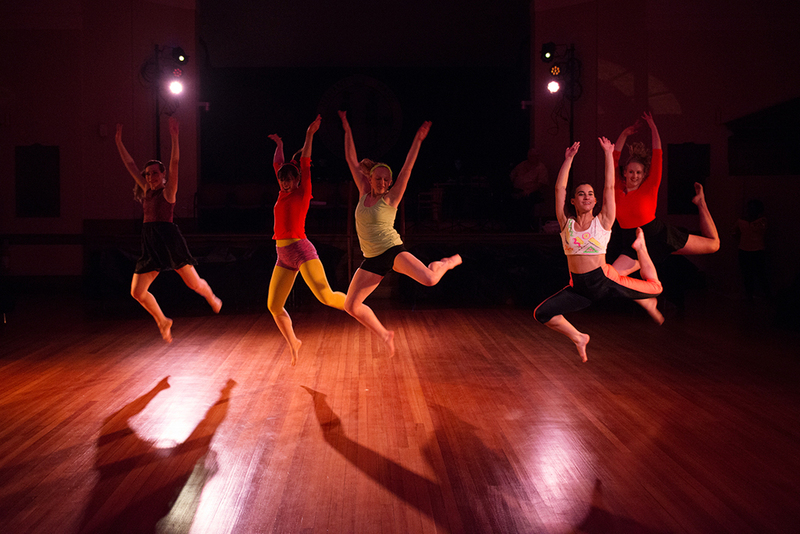 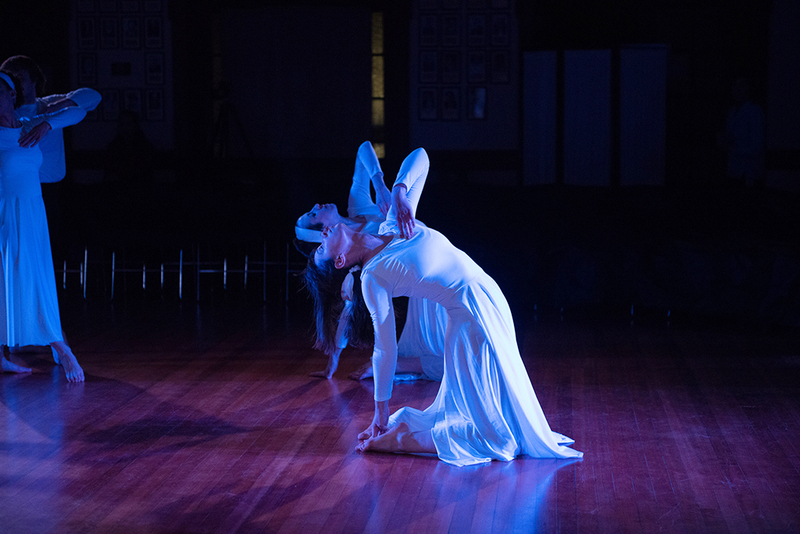 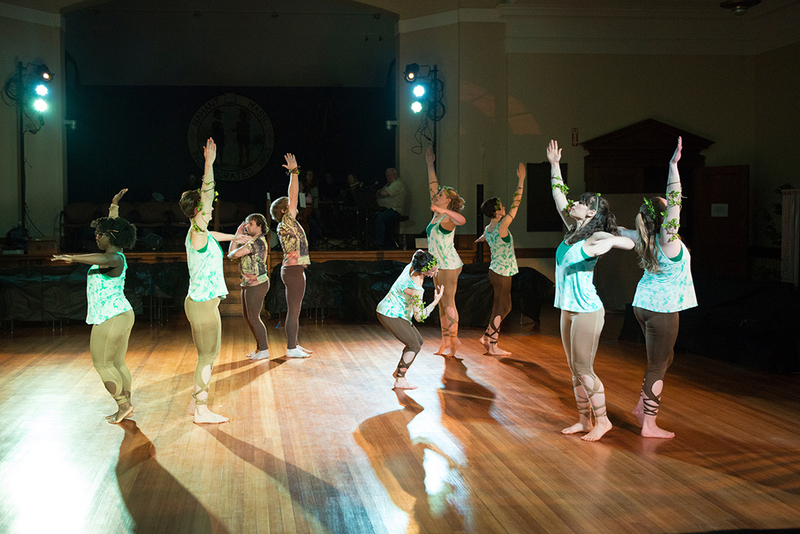 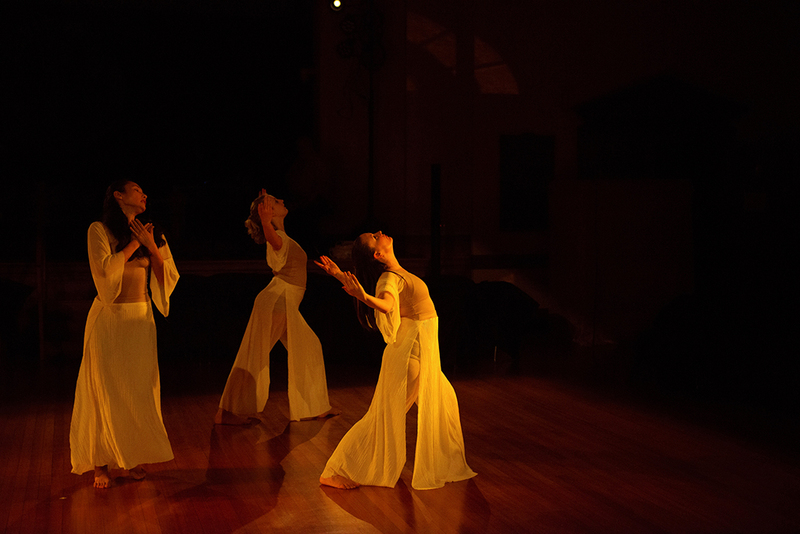 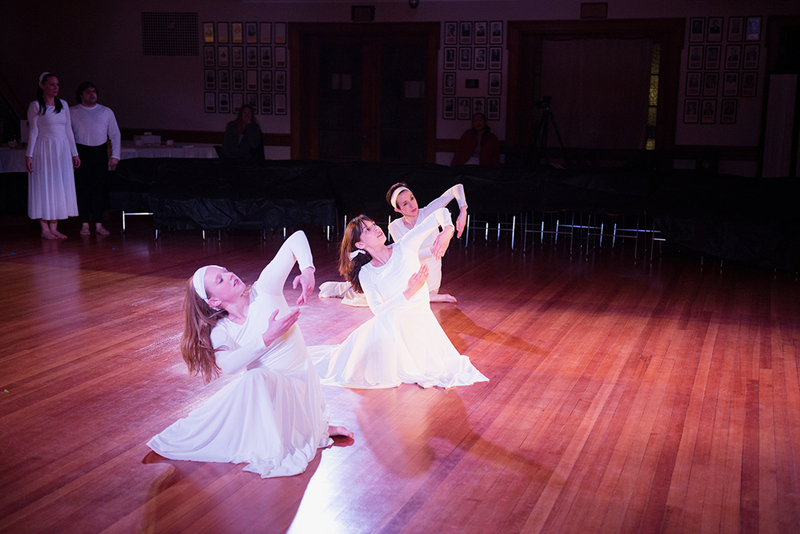 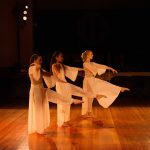 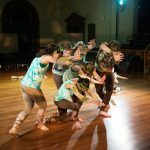 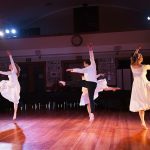 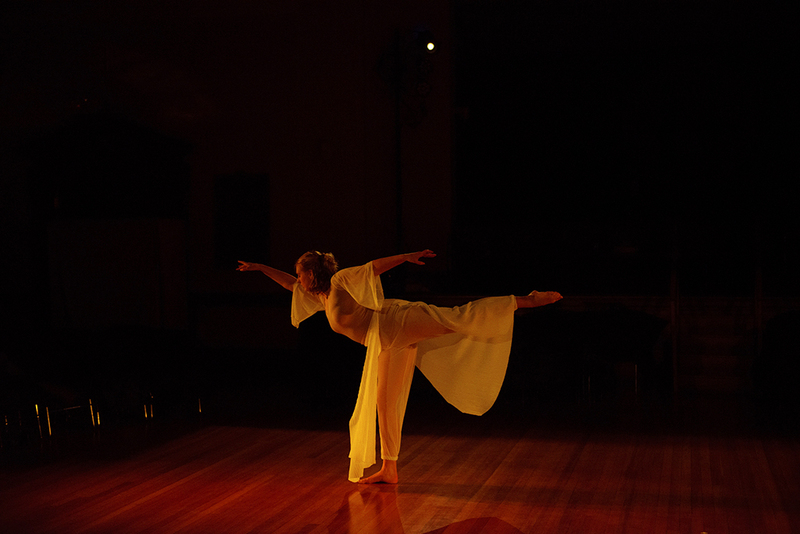 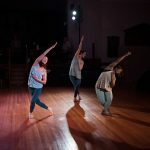 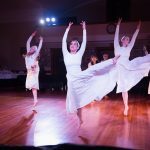 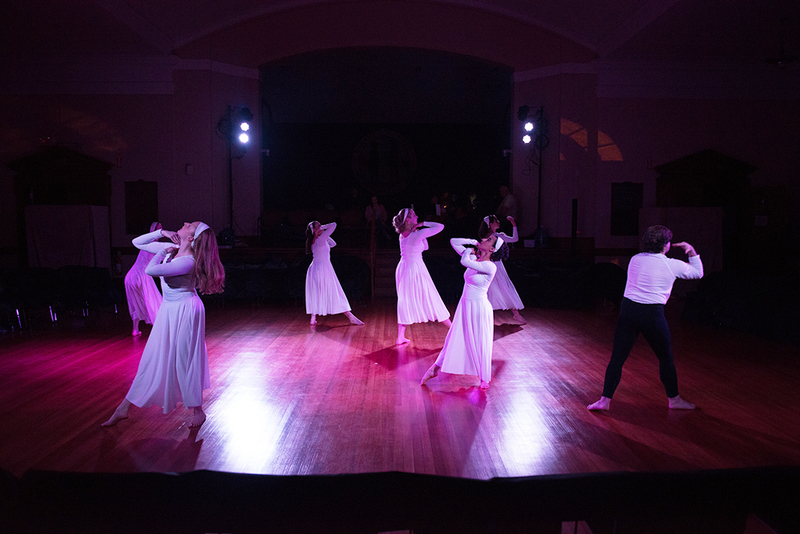 Forty Steps Dance will be performing at the Salem Arts Festival 10-year celebration! 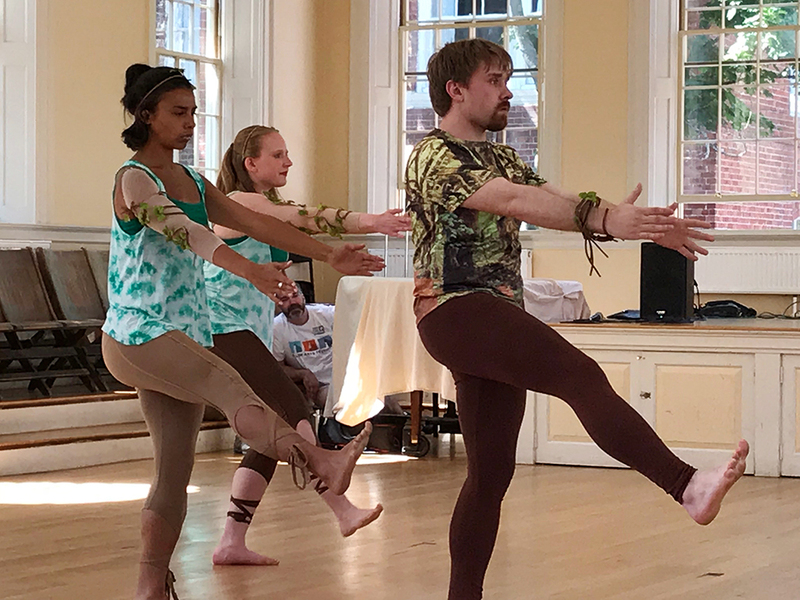 For three days each June, this FREE family-friendly festival transforms downtown Salem, MA, into an opportunity for the arts community to showcase their talents. 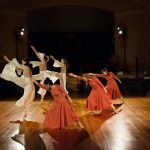 Looking towards its 10th year, the festival boasts attendance numbers in the thousands and celebrates all the arts: painting, photography, sculpture, dance, music, writing, film, new media, performance, theatre, poetry, culinary, and more!